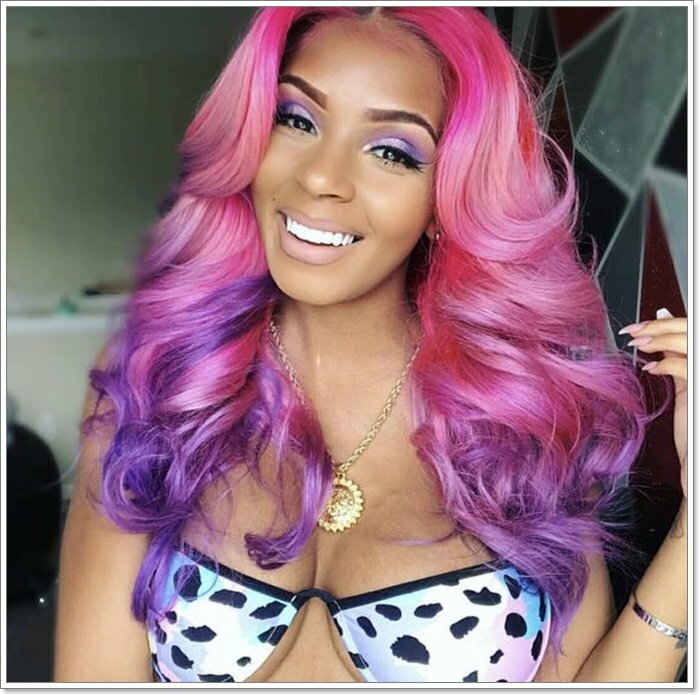 If you are looking to make a splash this year, then a change in hair color might be just what you are looking for. 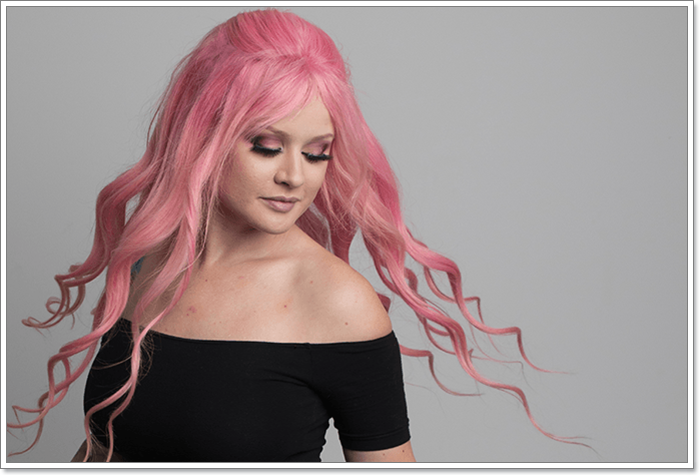 Pink is one of the most popular shades these days and there are so many options to choose from. 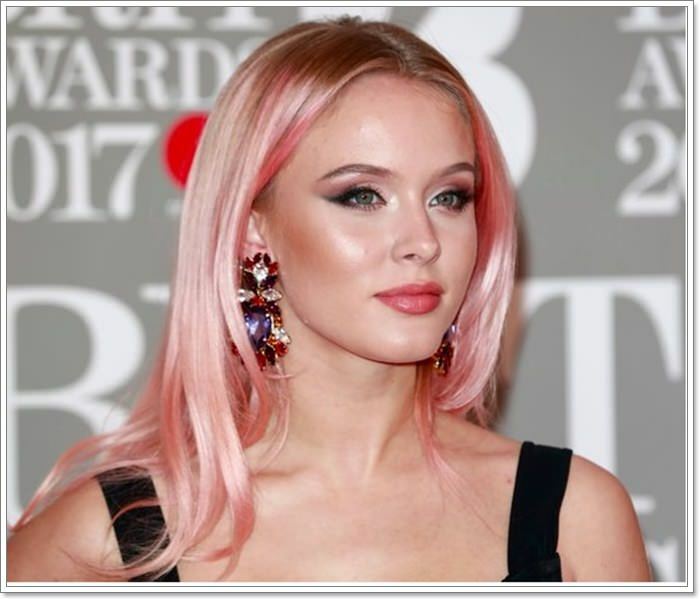 Millennial, bubblegum, watermelon, neon, pastels, there are so many different options for pink hair that you may have trouble deciding on what you want. 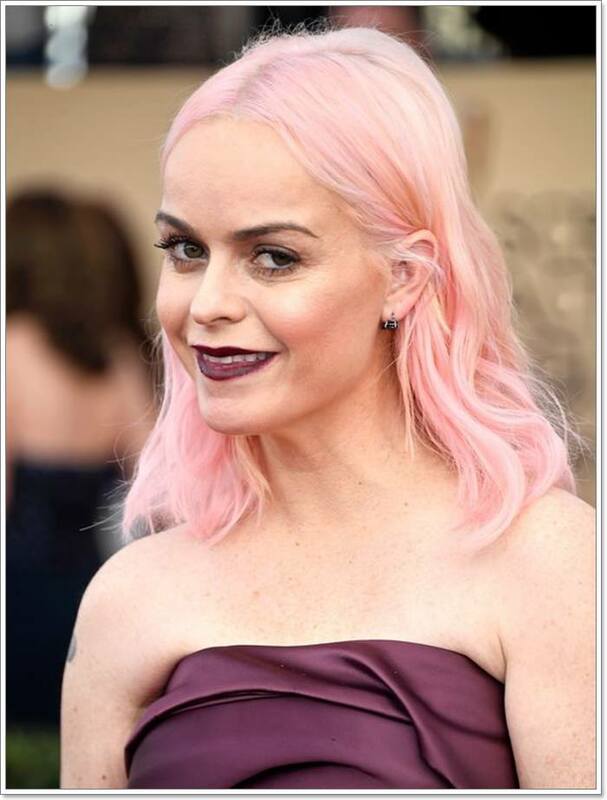 Even celebrities are jumping on board the color train. 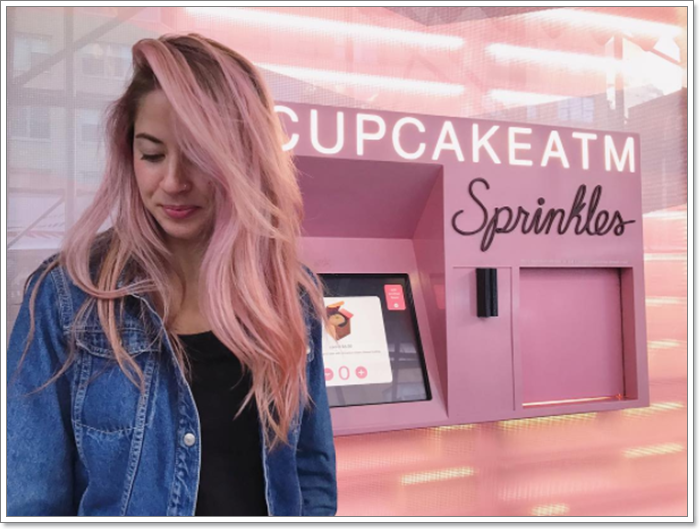 Stars like Katy Perry, Rachel McAdams, Rita Ora, and Gigi Hadid have taken pink for a ride. 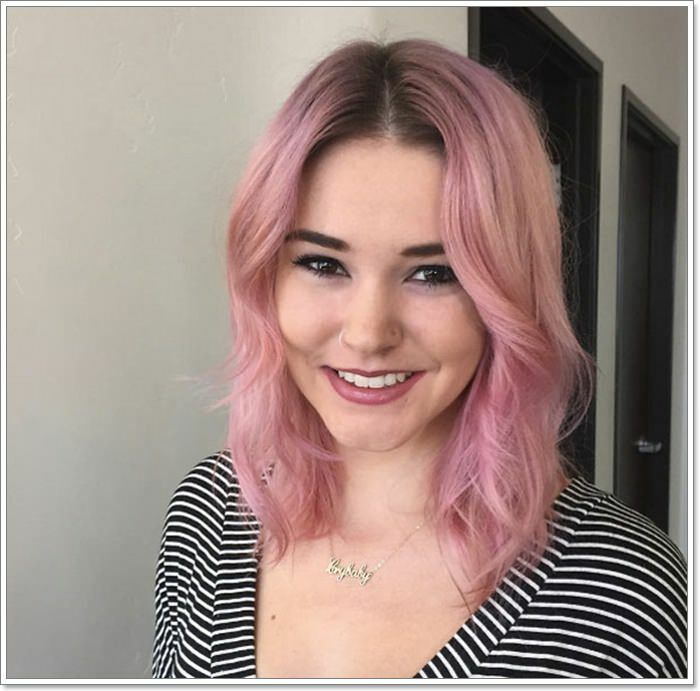 It’s a bold and fun move for anyone looking for a change. 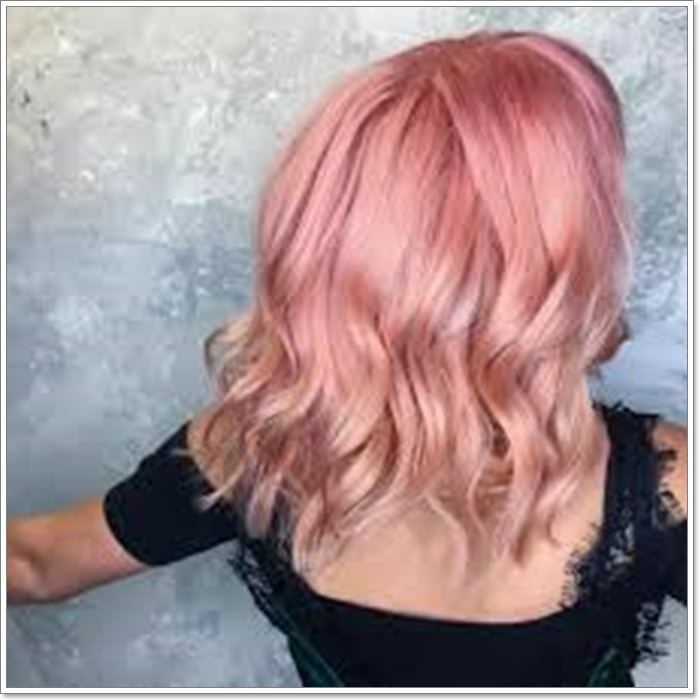 We highly recommend doing a color change like this in a salon because it’s not the kind of thing you want to try at home. We have a ton of looks that will inspire you to make a fresh new change. A great shade like this is perfectly pale. 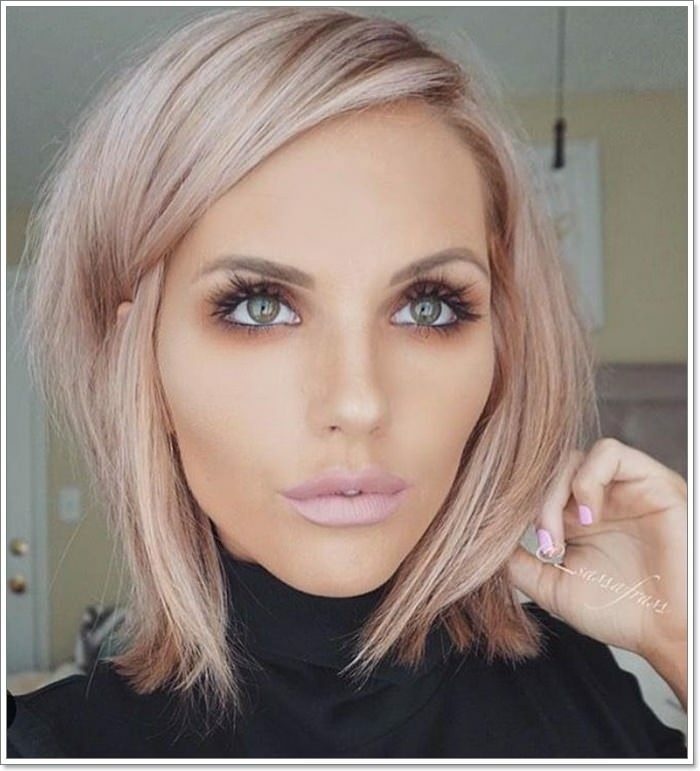 A great shade like this is everything that you have been looking for in an edgy style. 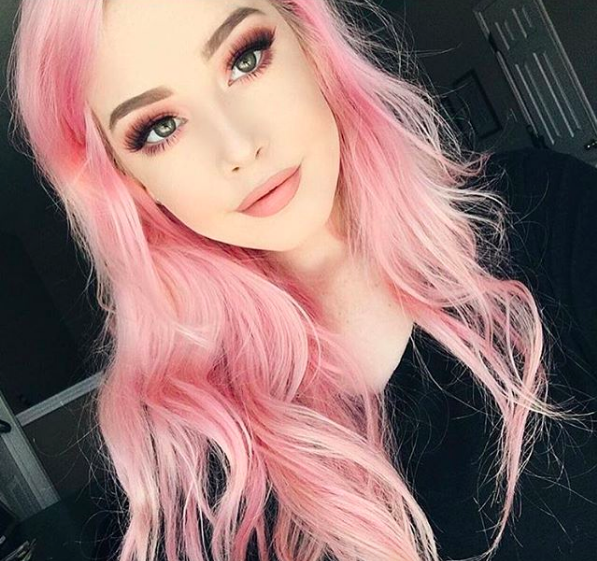 Her roots are grey and the rest is pink and the shades go so well together. This is a gorgeous shade that is sure to turn heads wherever you go. If you want to lean more towards a fashion shade, then you can’t go wrong with this color. 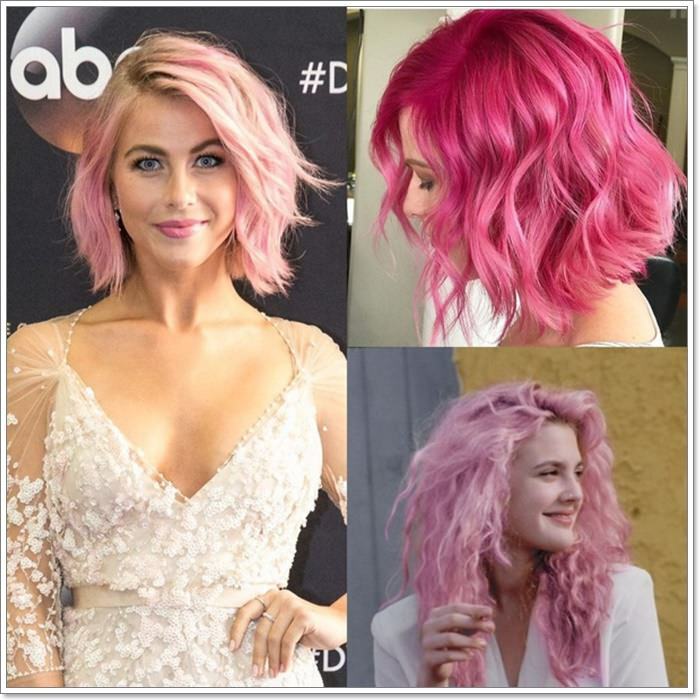 This style has a Marilyn Monroe vibe but with pink! You can’t go wrong with a cool shade like this one. Brighten your day and everyone else’s with this bright pink shade. 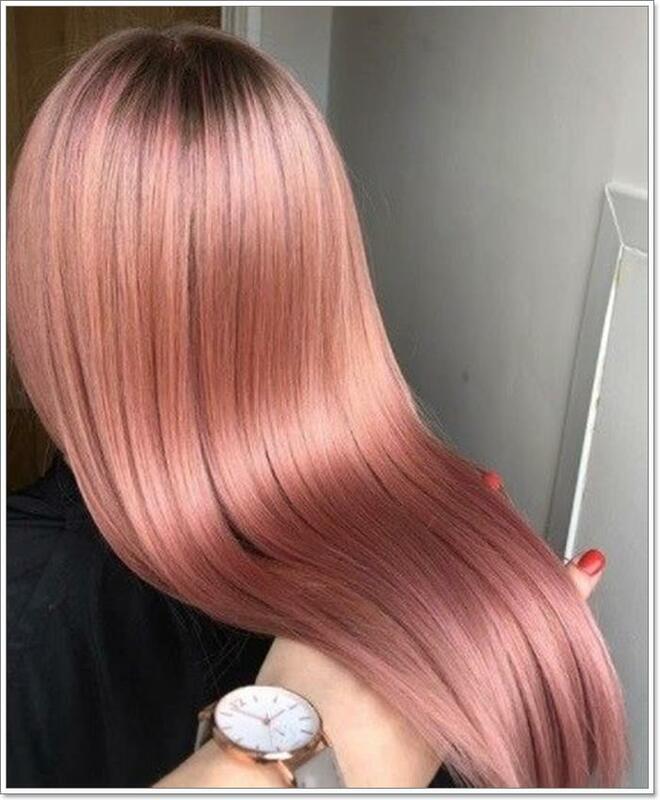 This is a soft shade of pink called rose gold. If you are looking for something subtle, this would be a great color for you. 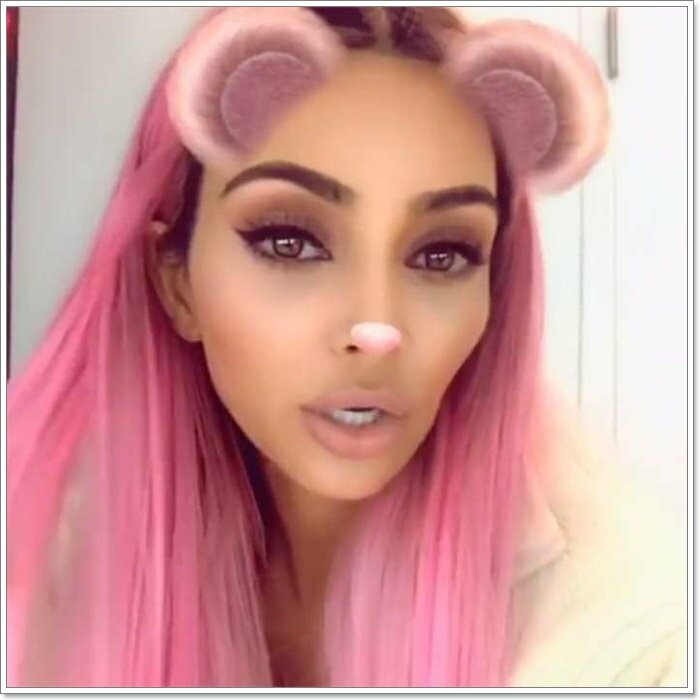 Even Kim Kardashian hit up the pink shades and she looks pretty cool with it. 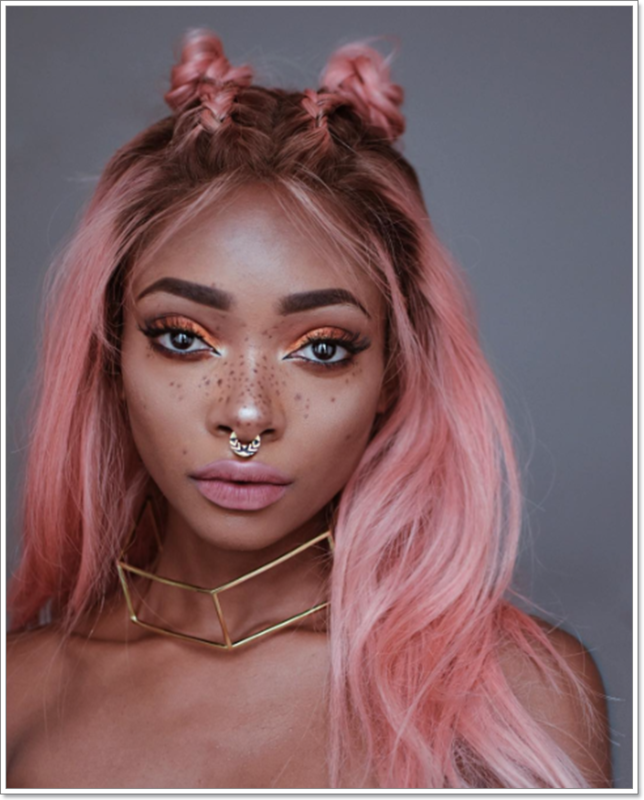 This is a stunning shade and one that you can try out yourself. 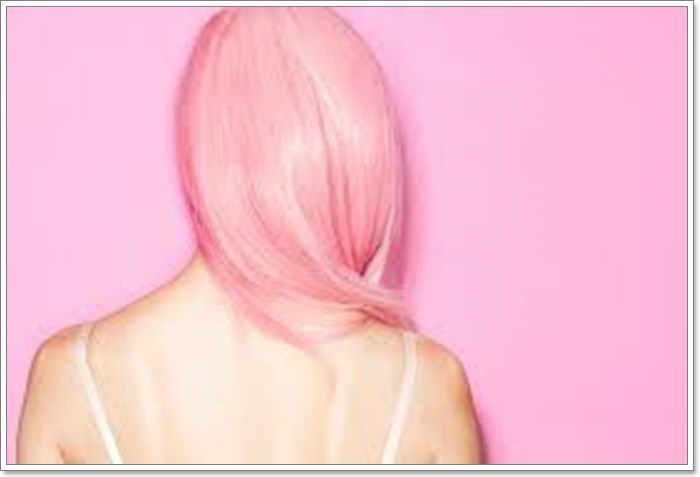 Tip: If you are using any type of fashion shade pink, it is important to wash your hair in cold water to avoid fading. Hair will fade twice as fast in hot water. This style goes from light to dark with a beautiful shade. This hot pink shade is all you need to turn heads wherever you go. It’s a stunning shade for those who like to live on the edge. 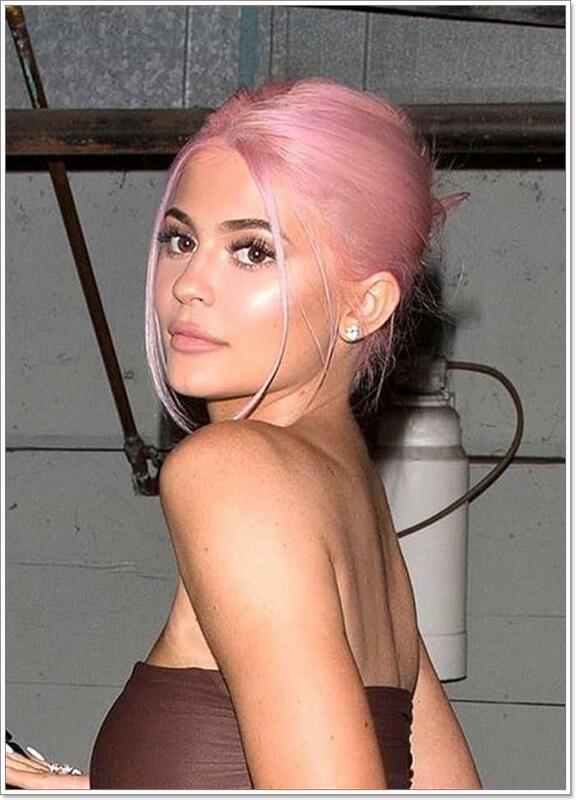 She just has her tips in the pink shade but it suits her look so well. 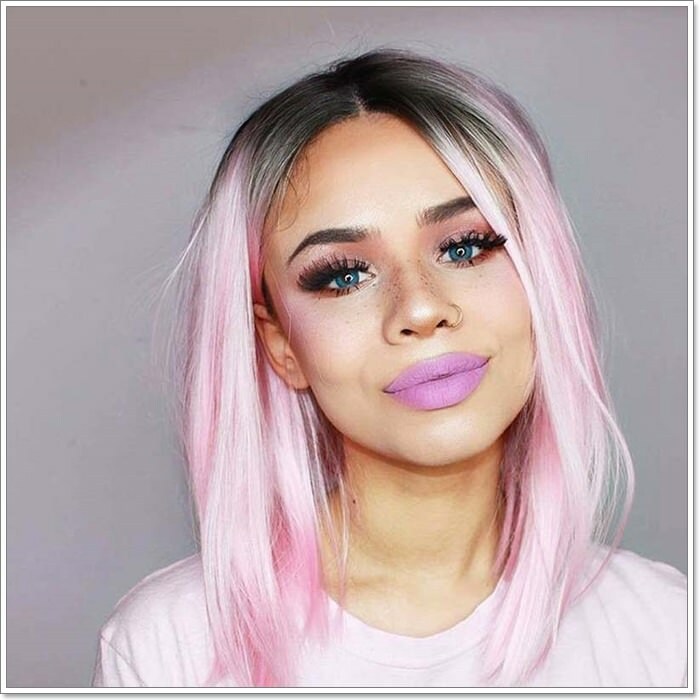 A great shade for anyone who wants to test pink out. 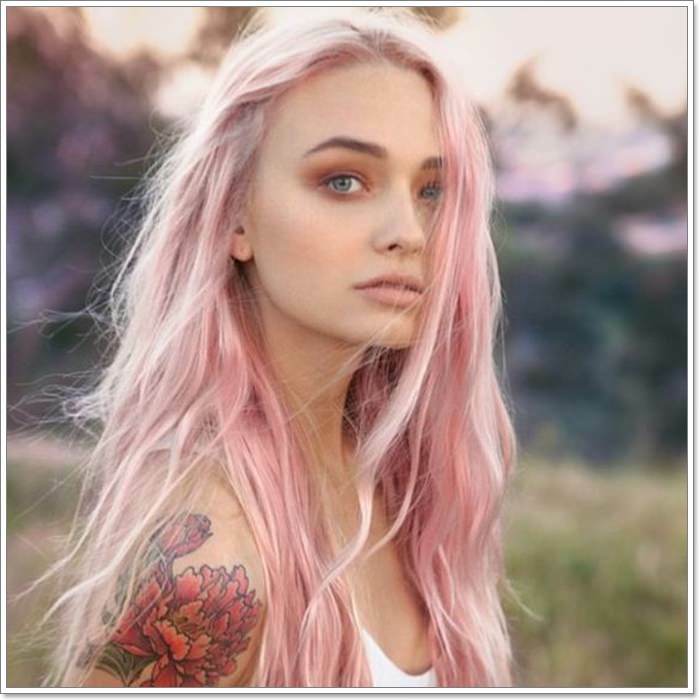 If you already have blonde hair this will be an easy color to transition into. 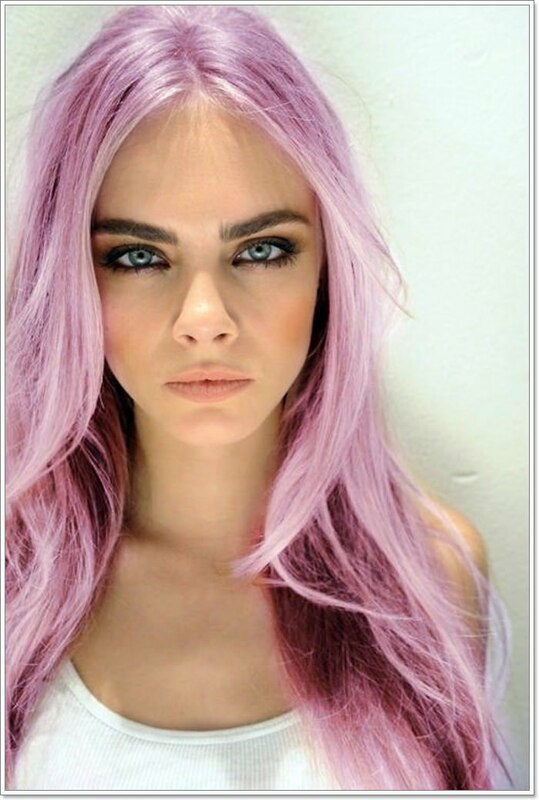 This pink is bordering on a mauve color and it’s absolutely gorgeous. We love the style with the short bangs. This is one of the lighter options to choose from. 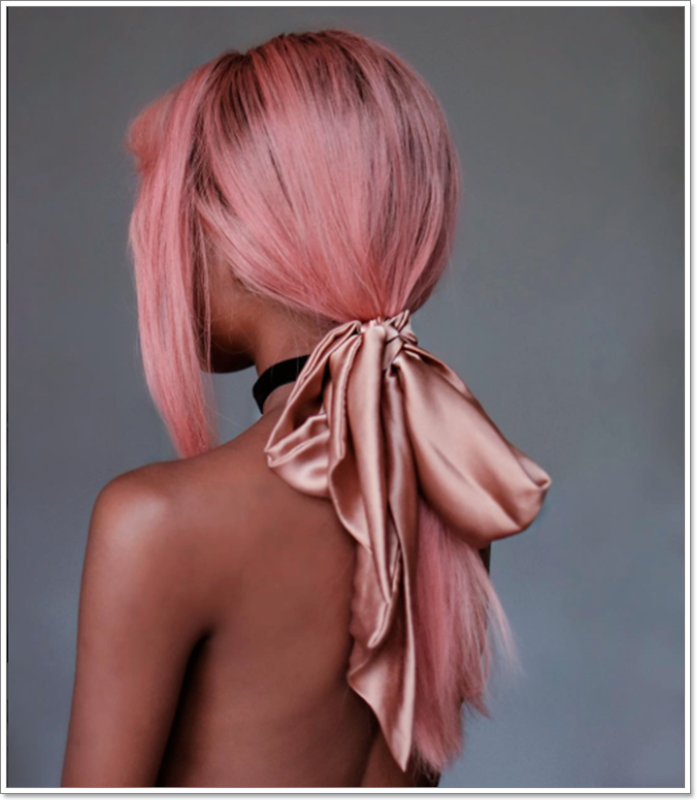 A stunning shade that goes from pink to rose gold. We love how glamorous she looks with curls. This is a great look with many different dimensions of color. Tip: Make sure your hair is as healthy as possible before you color it. 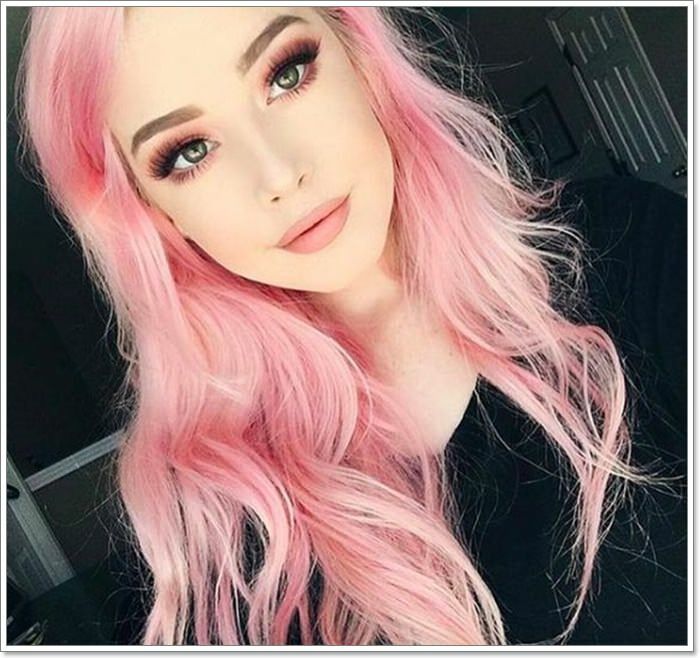 Unhealthy hair doesn’t hold the color as well as healthy hair does. We have a combination of purples and pinks with this color. 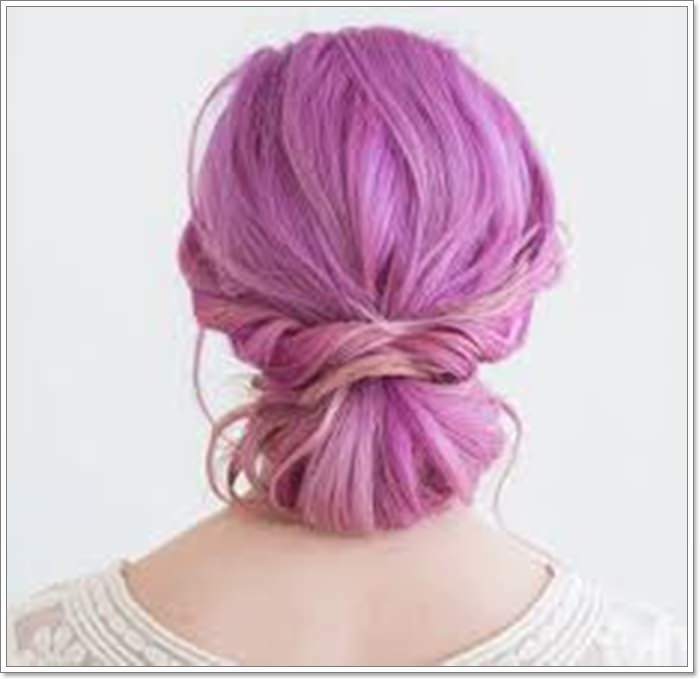 You can try out a few different shades with this hairstyle. This style is sure to put a smile on your face, the colors are incredible. 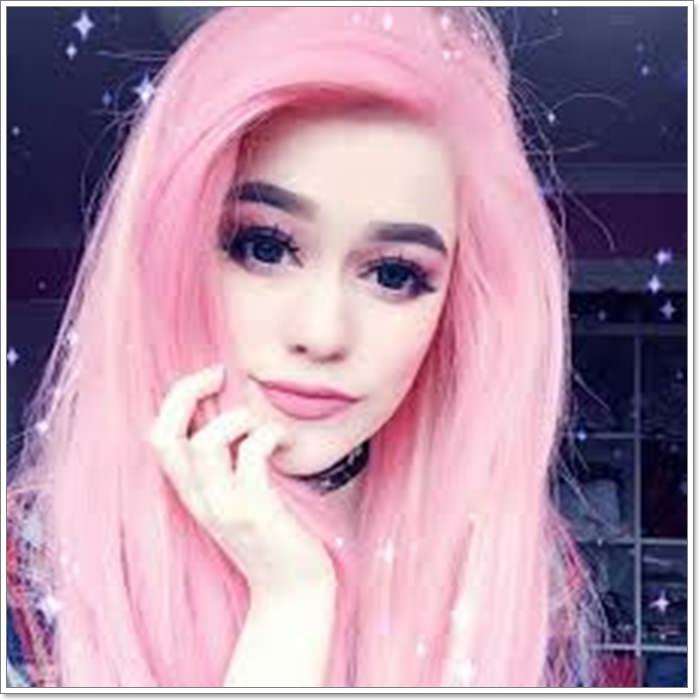 Pink! 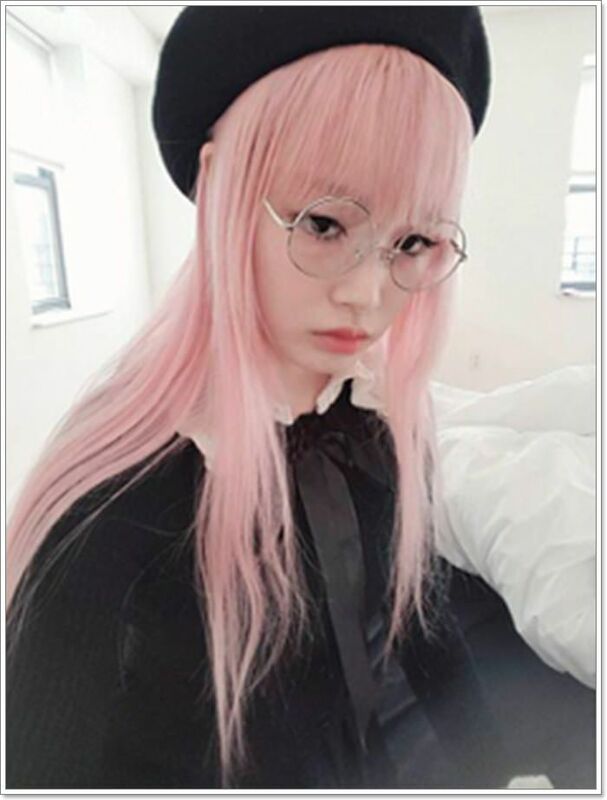 always has edgier shades and her style, in general, is edgy. 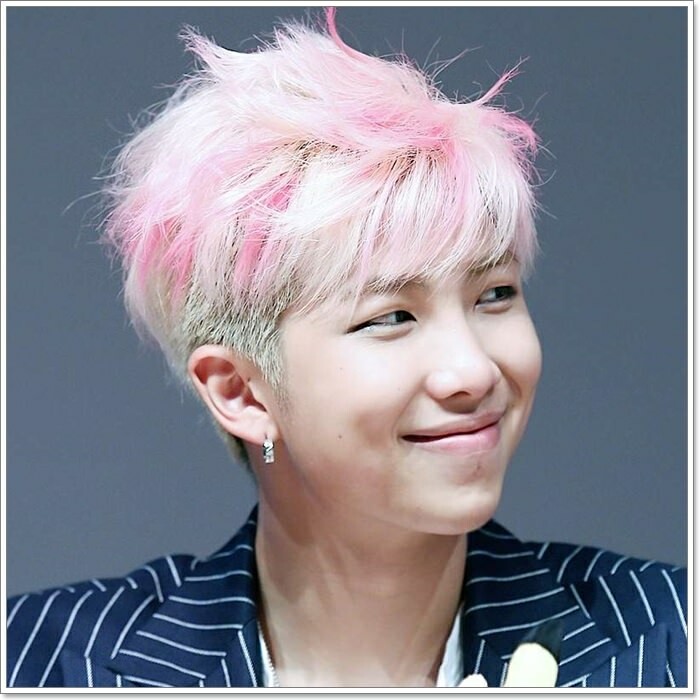 We love the pink mohawk with the shaved sides. 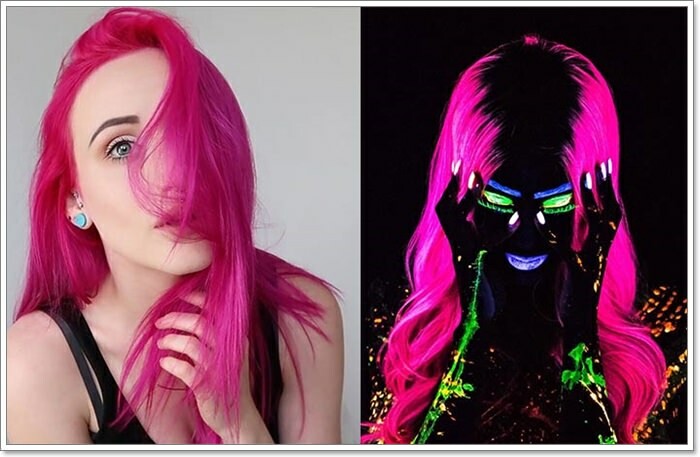 Her hair goes from blonde to bright pink in a beautiful way. 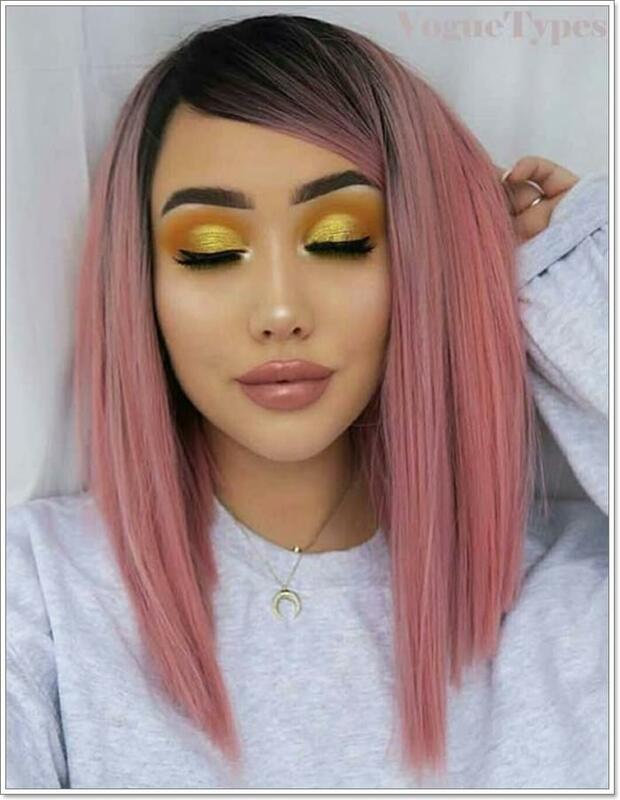 If you are looking for shades that are super bright, then you can’t go wrong with this look. 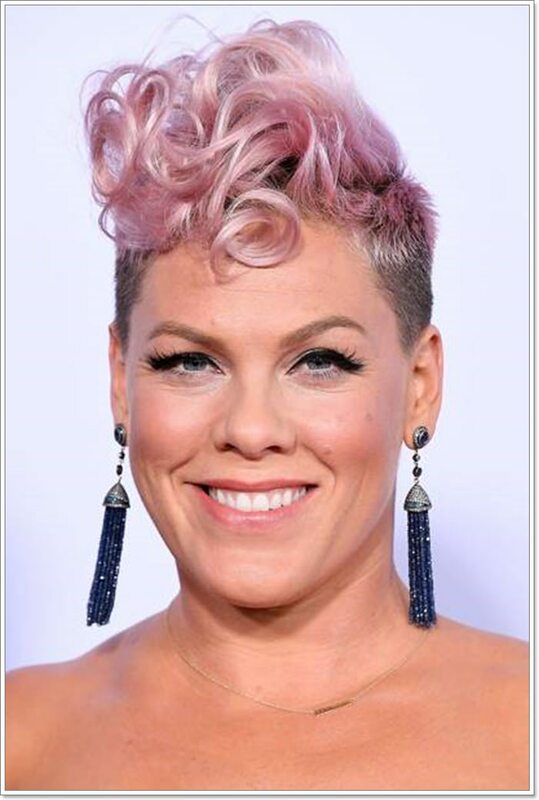 It doesn’t matter what your skin tone is, pink suits everyone. 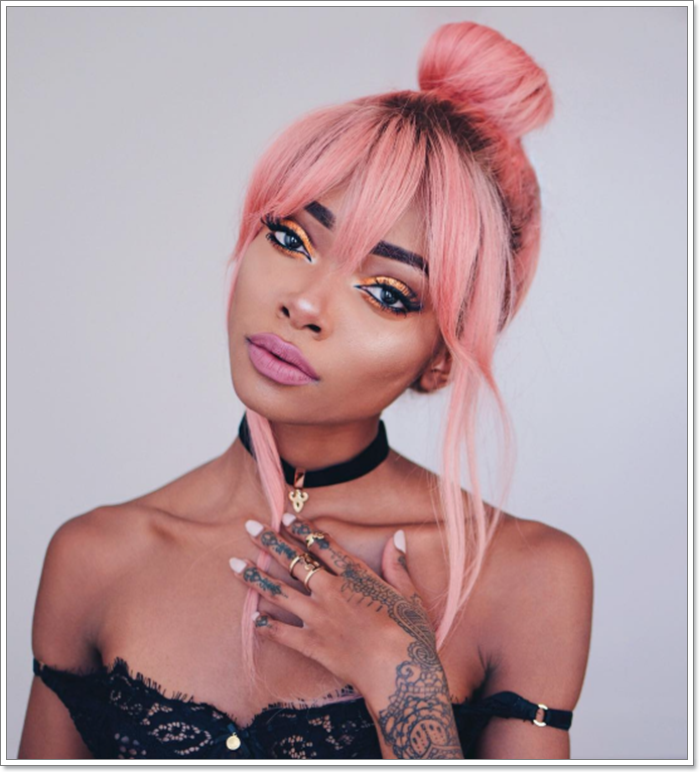 This is a cute look that you can try with your new pink shade. Braids are the best way to showcase a new color. Short styles like these are always great with fashion shades. There are a few different shades with this beautiful style. A great shade like this is all you need to feel like a rockstar. You don’t have to go blonde in order to appreciate pink shades. 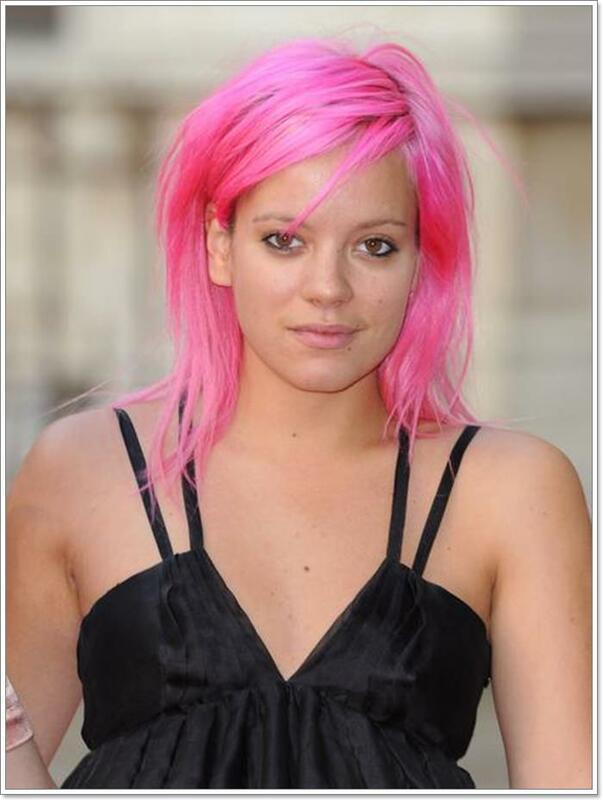 She has a dark shade which looks great with a darker shade of pink. Even Salma Hayek made the pink plunge at one time. 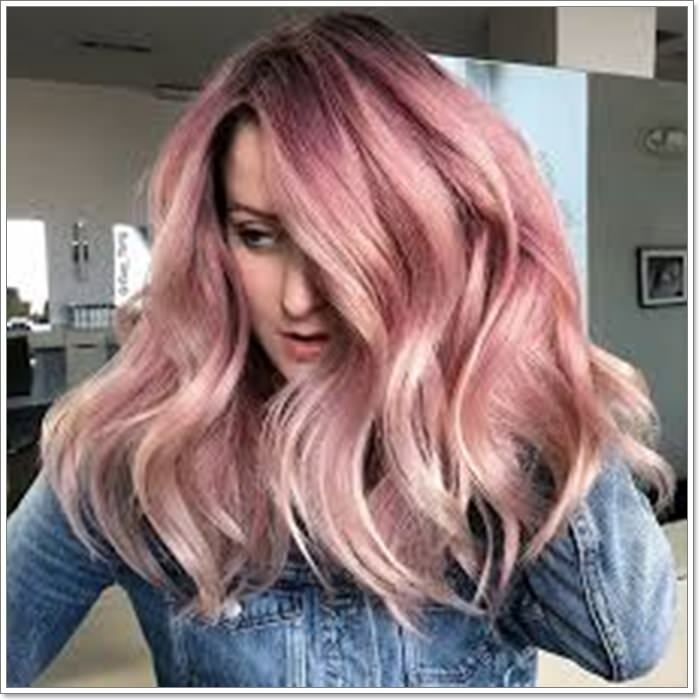 This is another great example of a stunning shade of pink to try out. 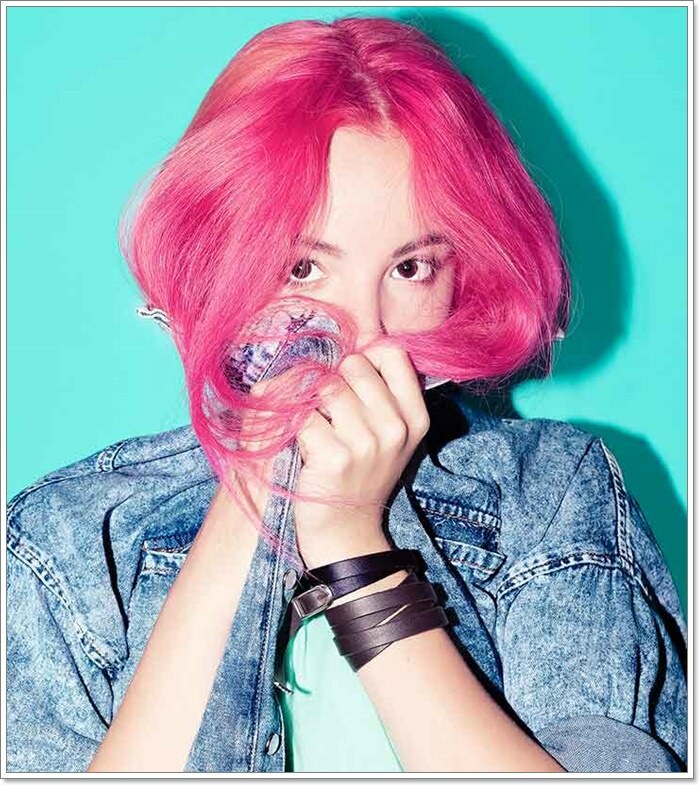 Pink hair comes in so many shades to try that you may want to try them all. Tip: Bleach your hair. 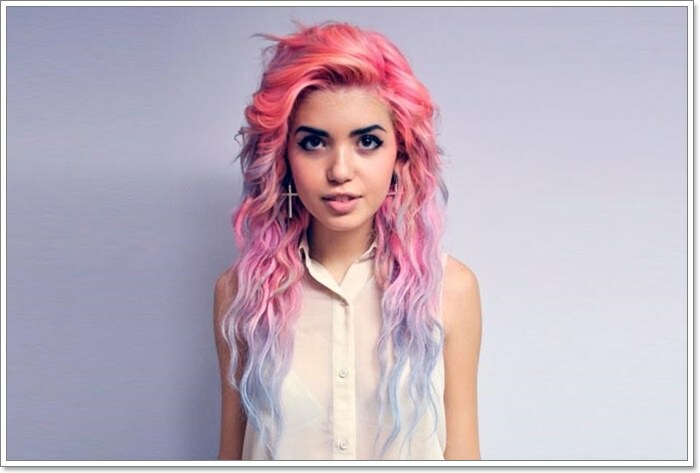 If you expect your hair to look like this, it’s going to require bleaching it first. If you have dark hair, and you apply this color, it won’t show up anywhere near as well. 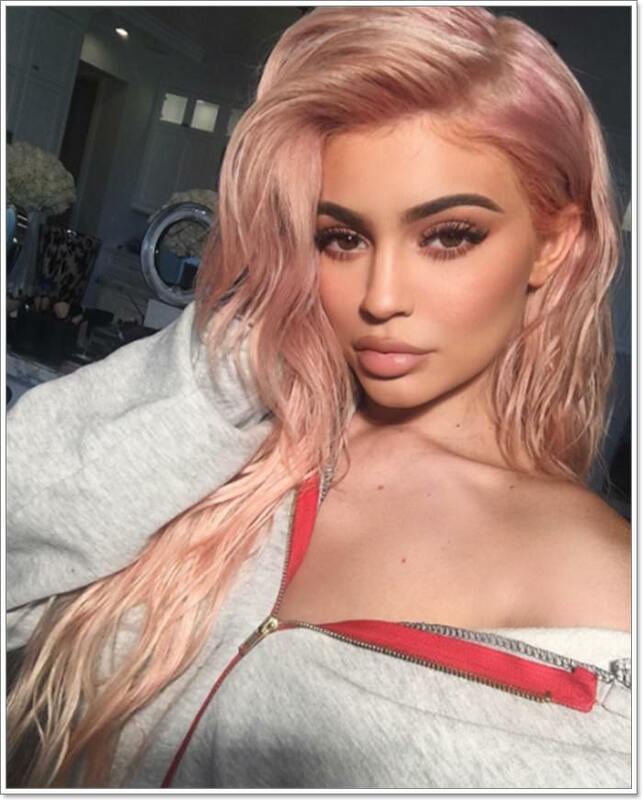 It’s important to bleach the hair first and then apply the color. 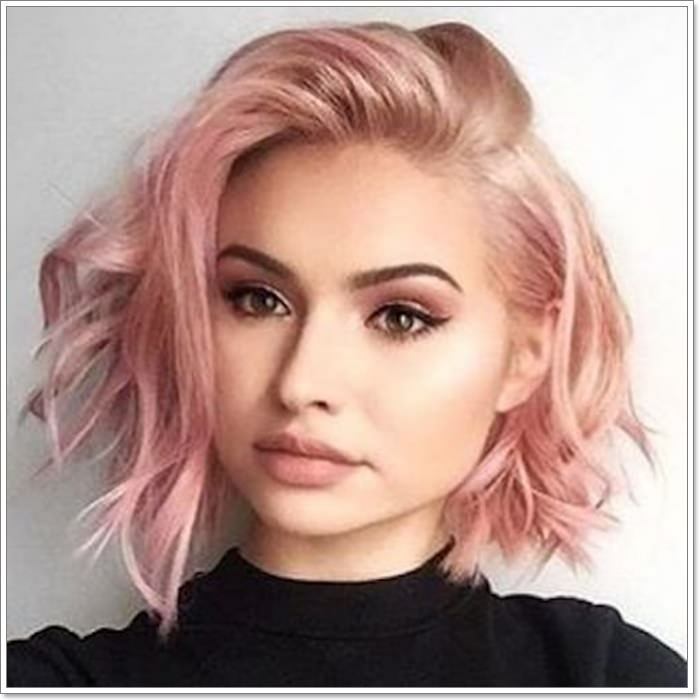 Short pink hair is exactly what you need to get you through the summer months. 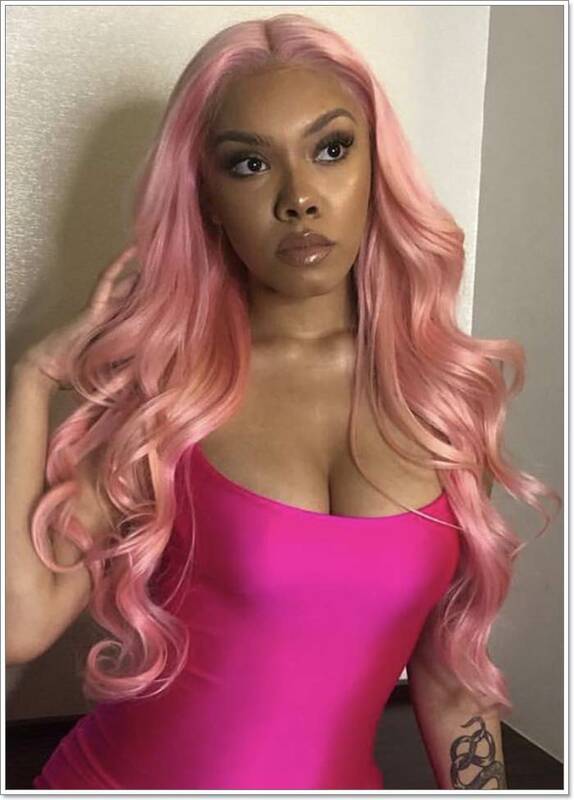 A hot pink shade is sure to get you a lot of attention. 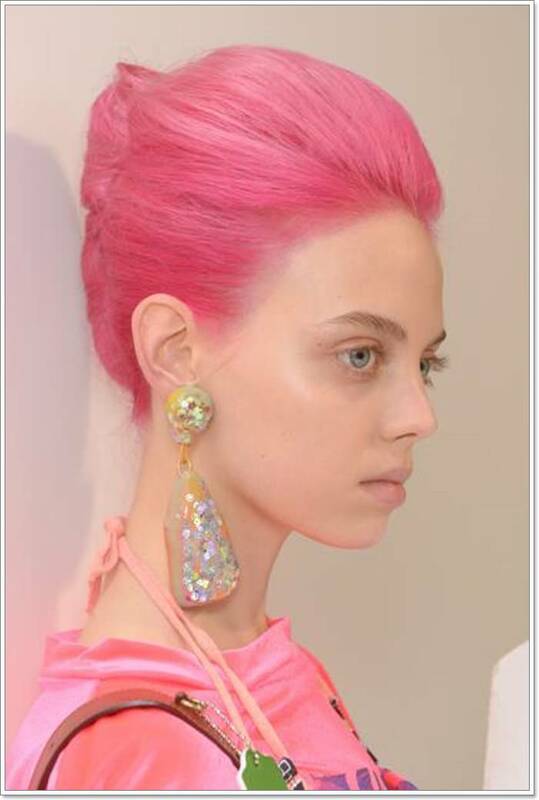 Even fashion designers like to play around with pink hair. 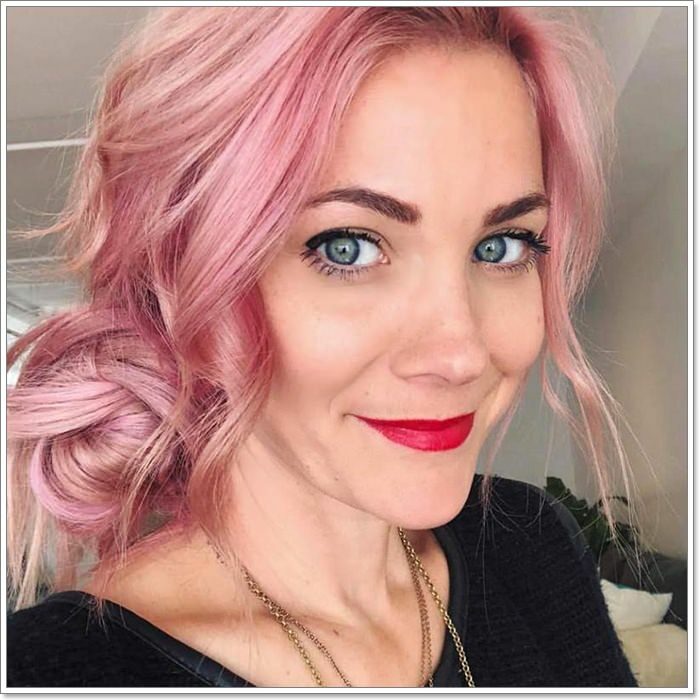 This is another fun shade to have, try it out and see how much you love it. These are all great options and they are all very different. Find the color that suits your personality. 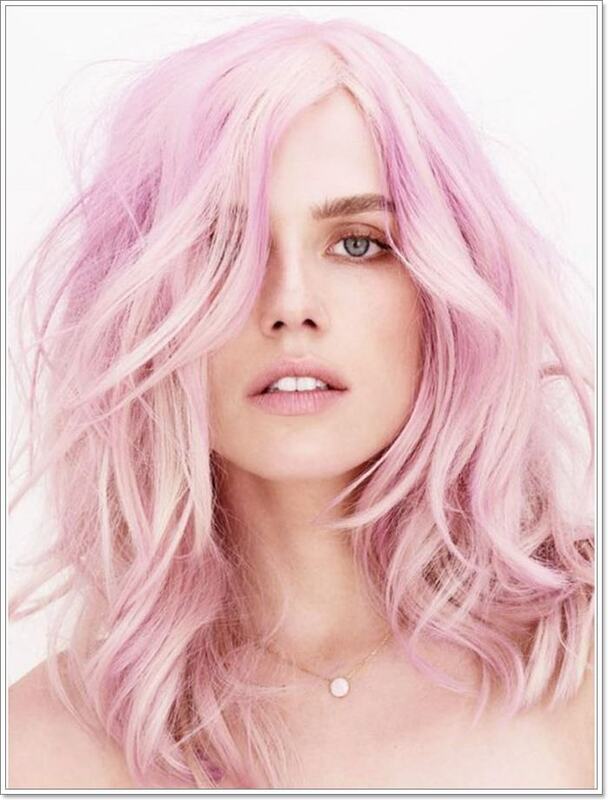 We love this stunning shade of pink, it is so alluring and eye-catching. 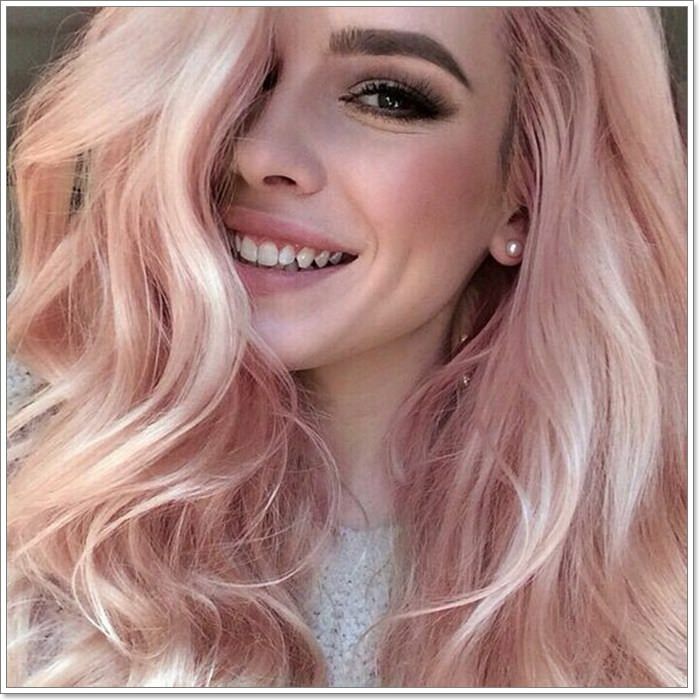 Rose gold is a beautiful shade of pink and one that you will love. 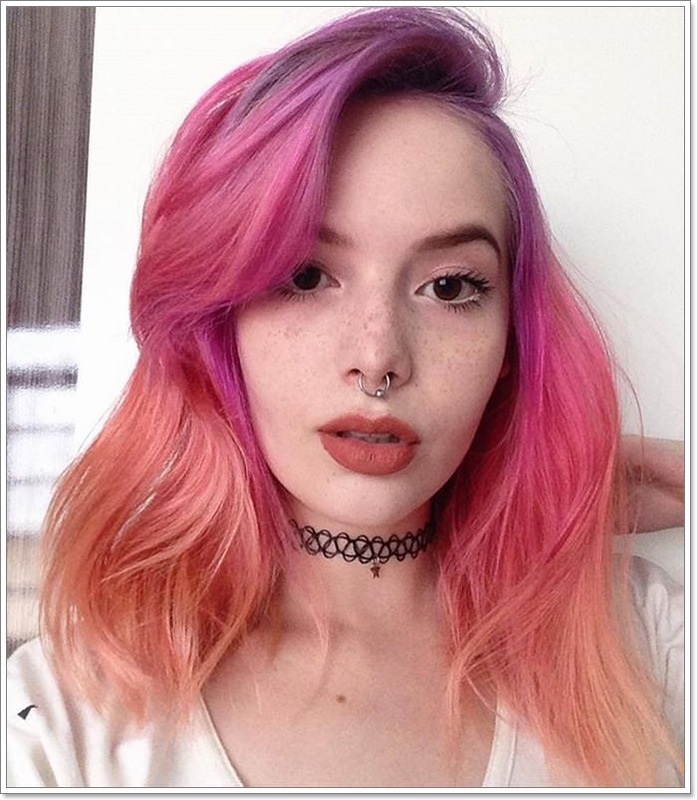 We love this gorgeous shade and it looks perfect with her complexion. 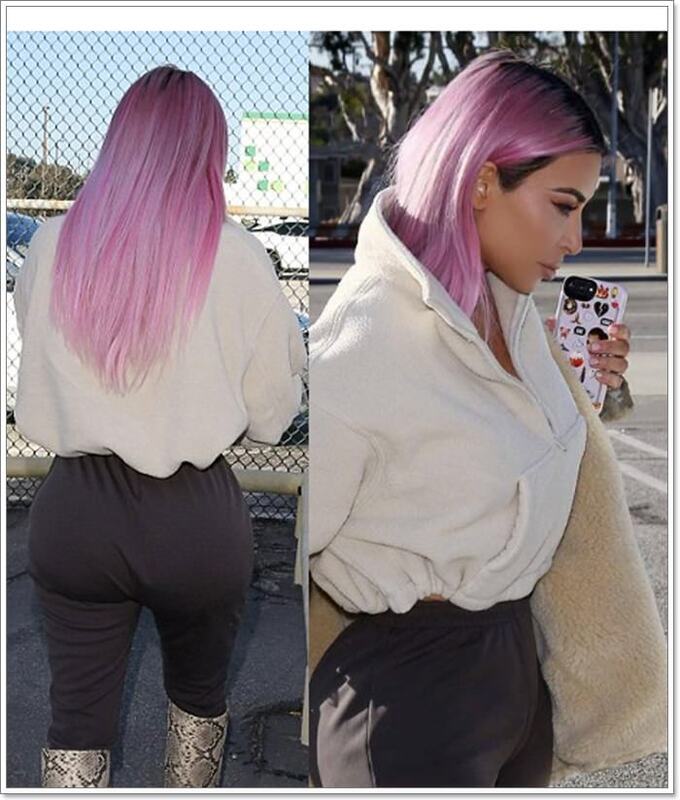 You can see how dark Kim’s hair is naturally here so you know it would require a lot of bleaching to get her hair to the level it takes for a pink of this shade. 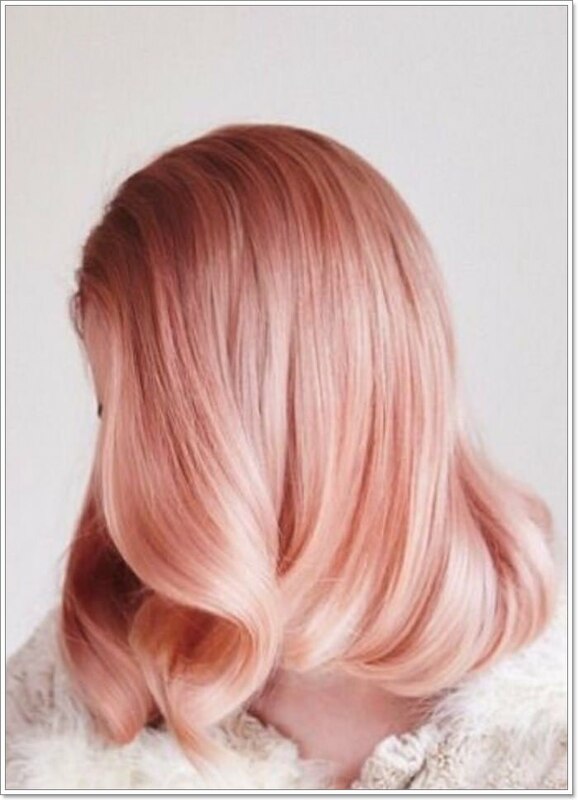 This pink is close to a peach shade and it’s one of a kind. 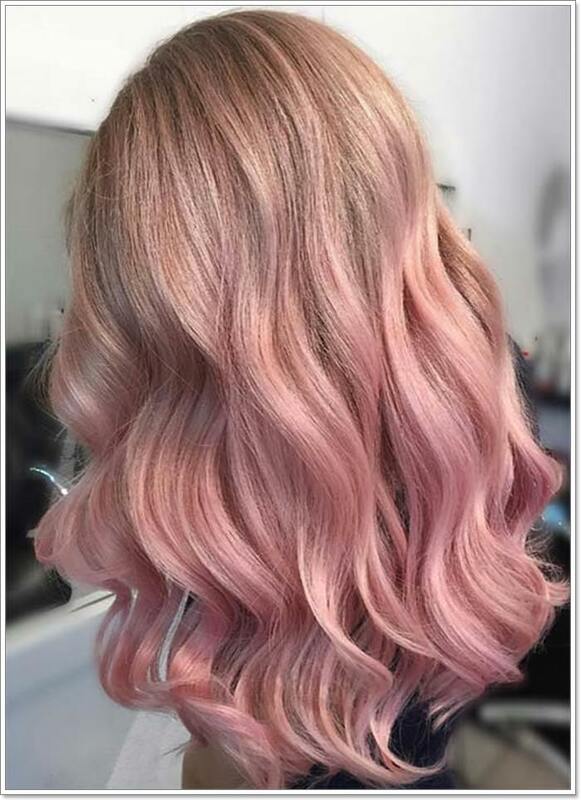 Another stunning shade of pink that you are sure to love. 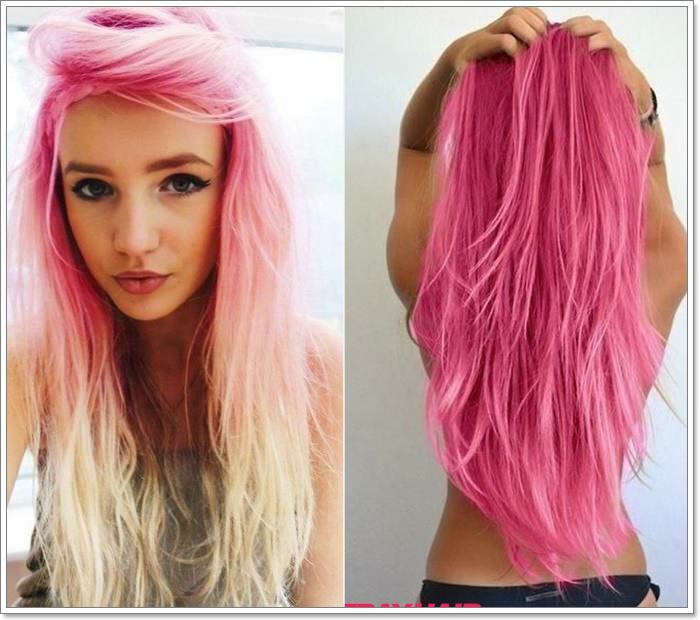 This is a fun style of pink that could run in the bubblegum family. 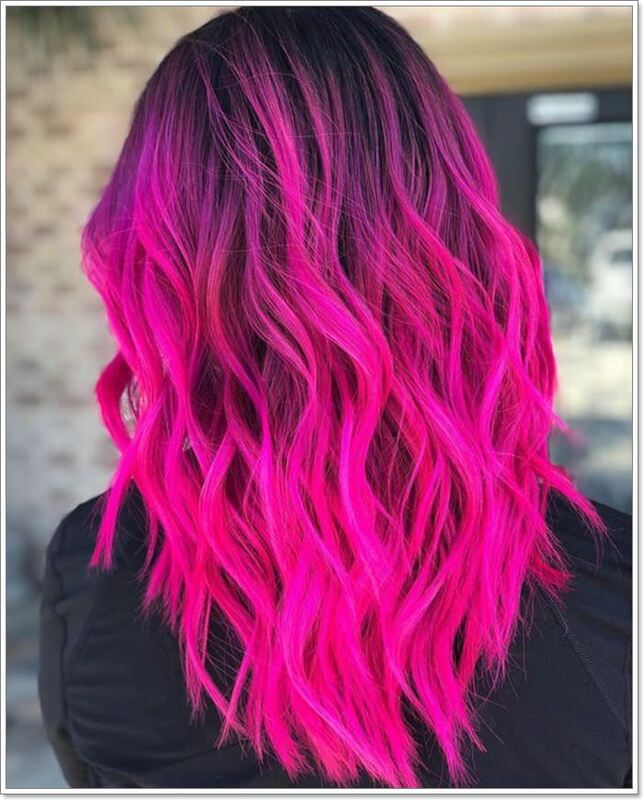 This is a medium shade of pink and it’s bright enough to get your attention. 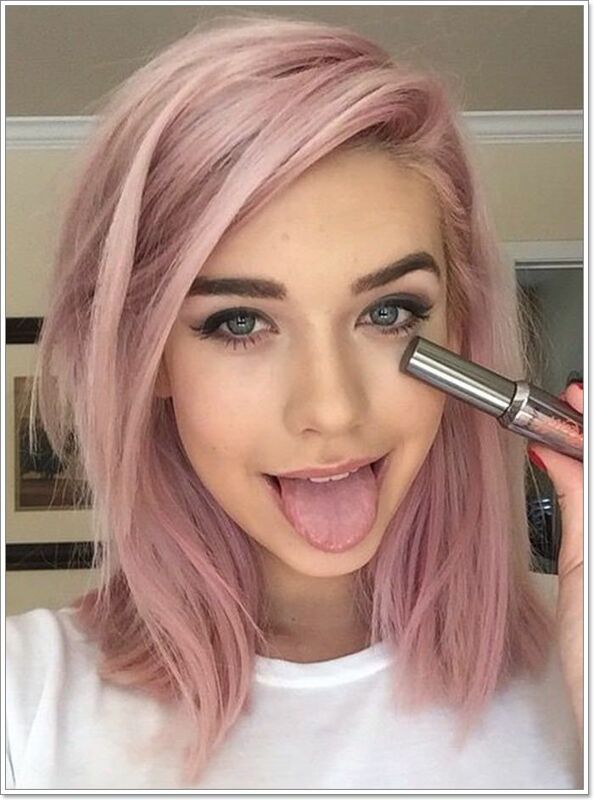 This is a beautiful shade of pink for those platinum blondes out there. 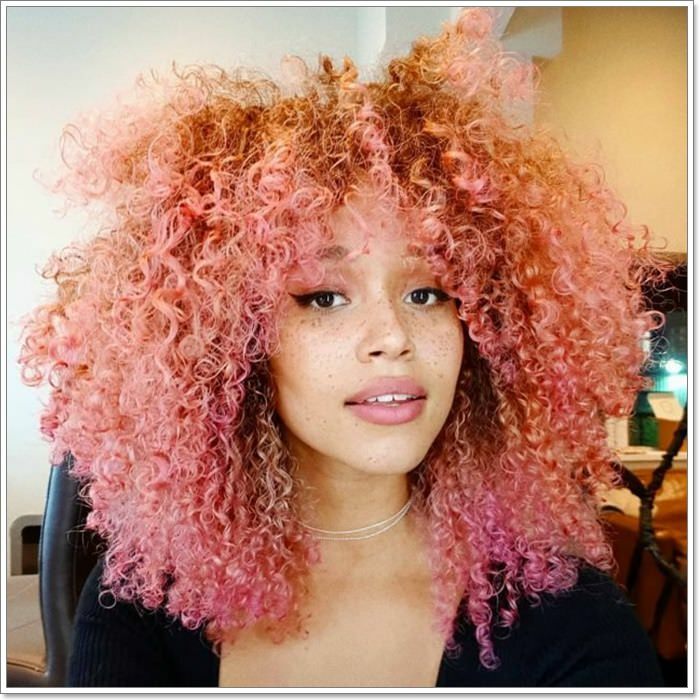 We love these bubblegum pink colors, they are so much fun. 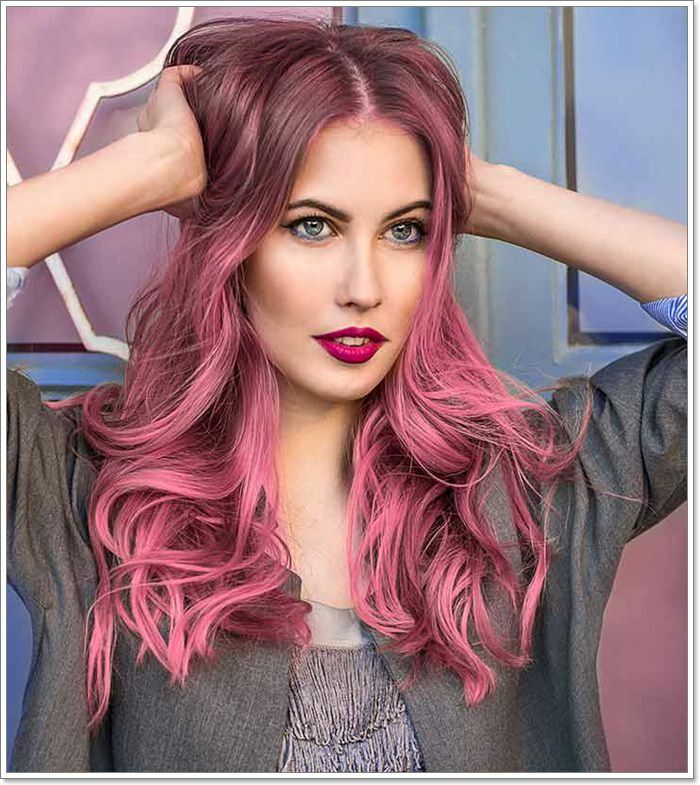 Tip: If you don’t want to have high-maintenance hair, then chose a darker colored pink. They won’t fade as quickly as the others. 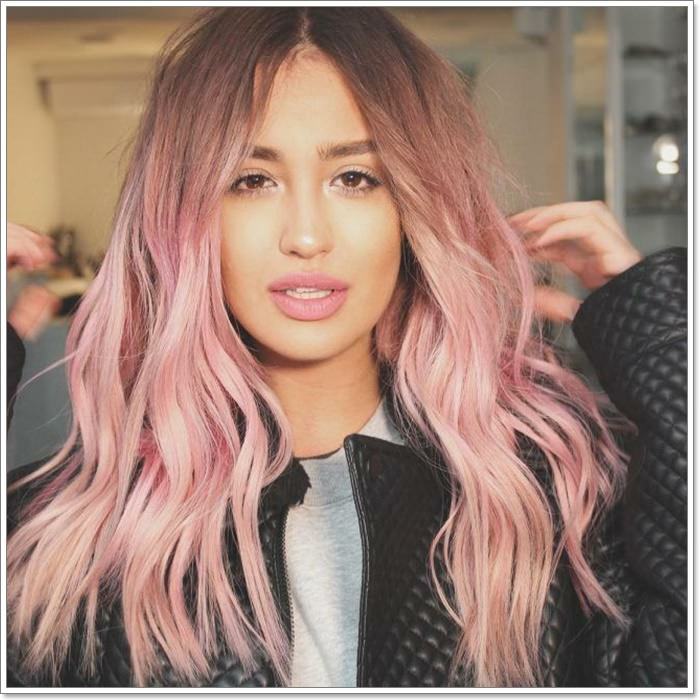 The lighter the shade the higher maintenance it will be because they fade really quickly and that means more salon visits for you. This shade goes from dark to light. 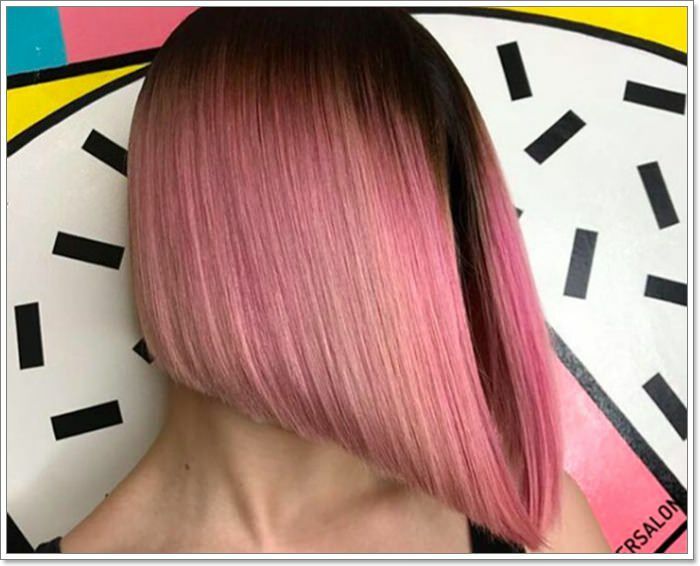 A great shade of pink that you are sure to love. 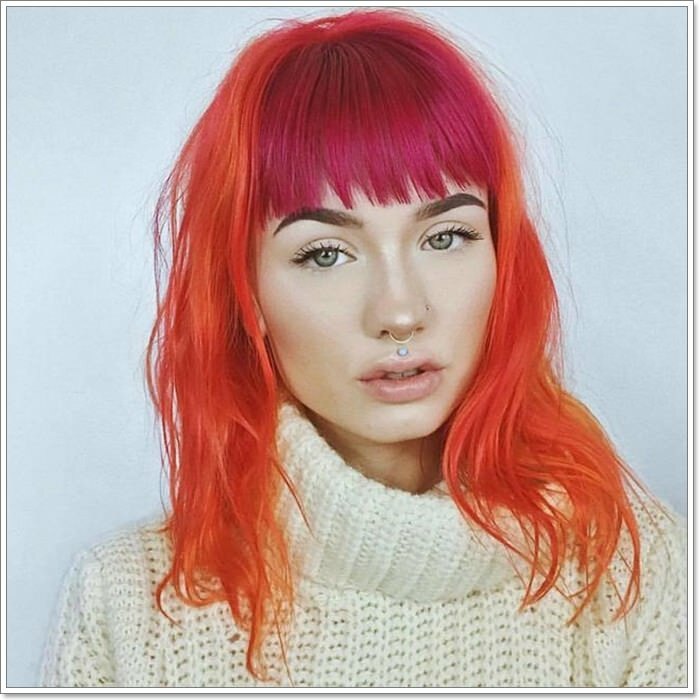 We love everything about this style from the color to the bangs. 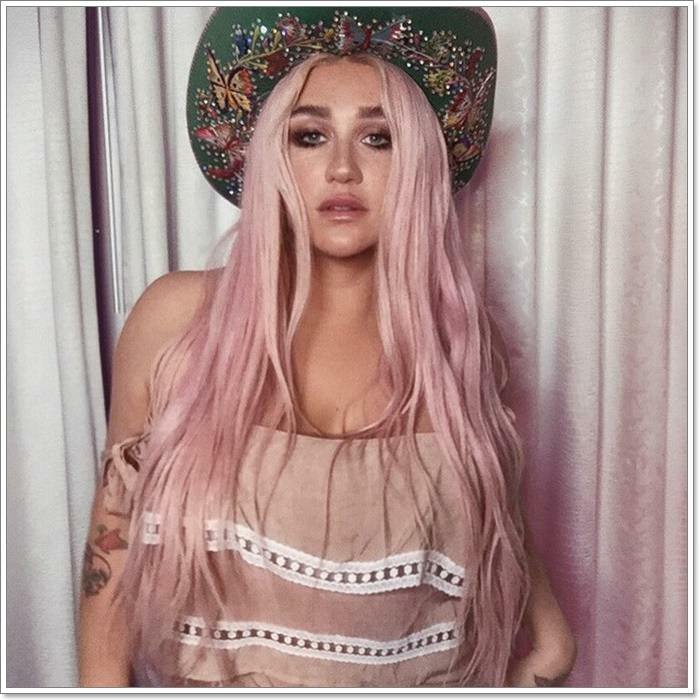 We love the fact that she kept some of her own natural color with this look. 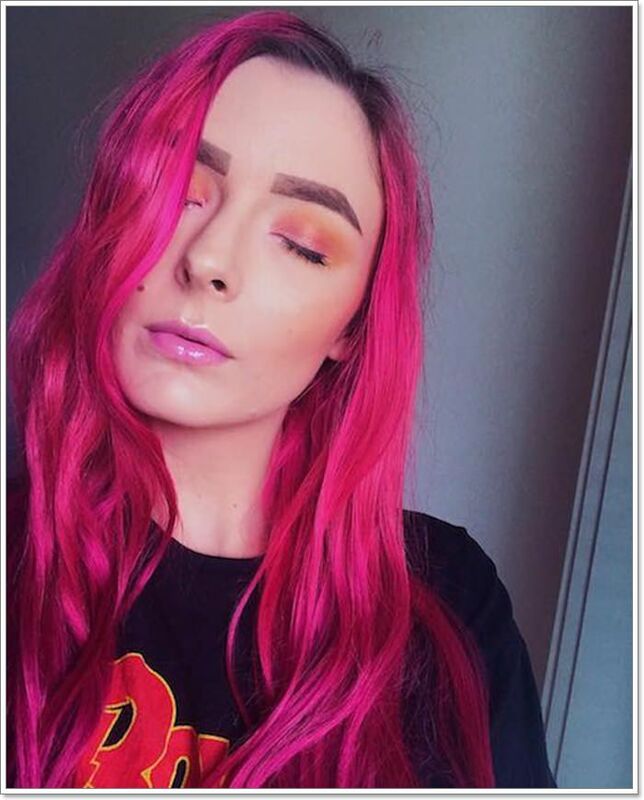 It’s as if she just got some pink highlights. It’s a great combination. 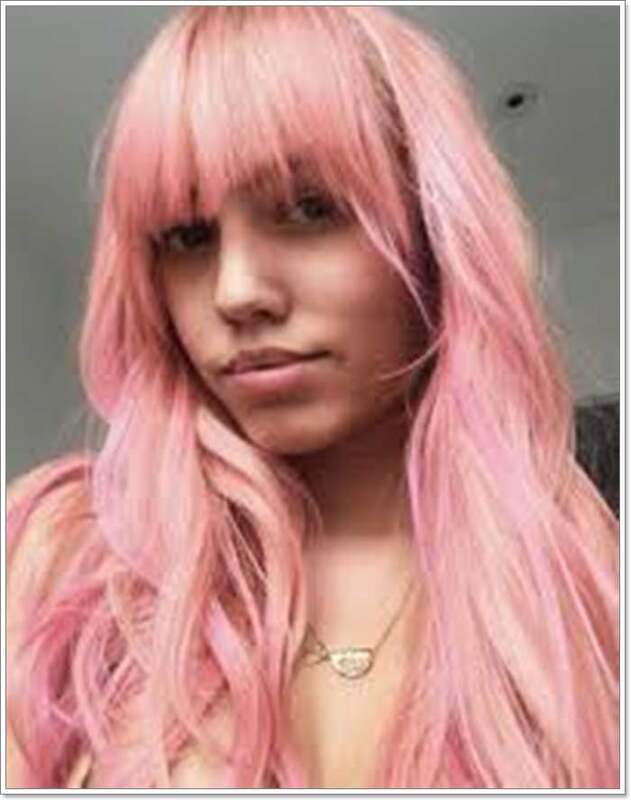 Getting pink hair can be quite the process at the salon and can usually take a couple of hours. 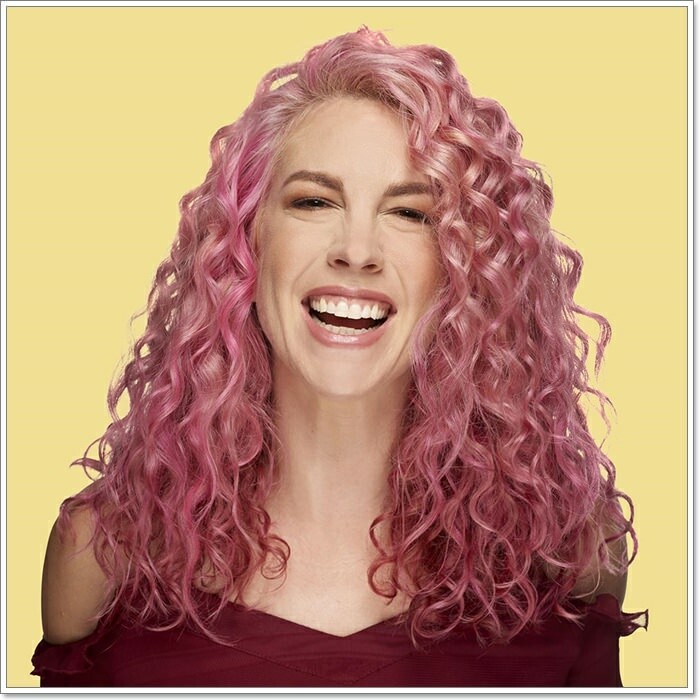 The color goes great with these fun curls. 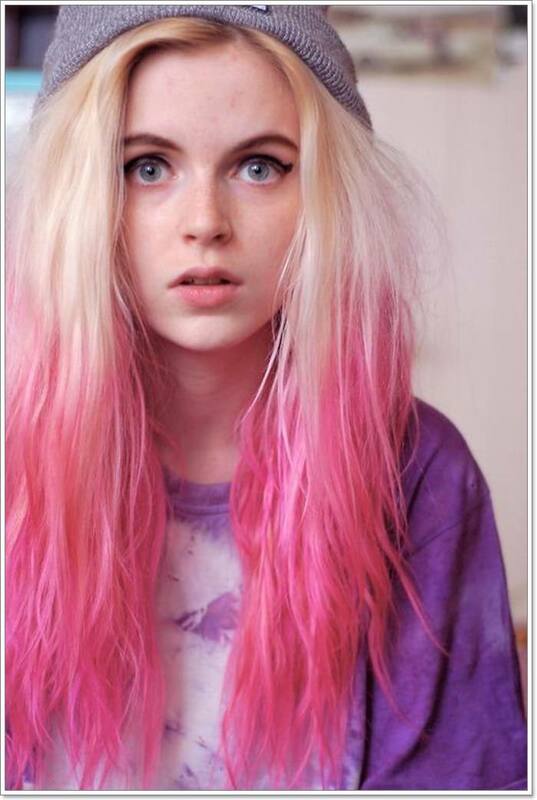 This is a very pale pink and would require a lot of maintenance to not fade to blonde. These colors make us feel like we are in a fantasy. 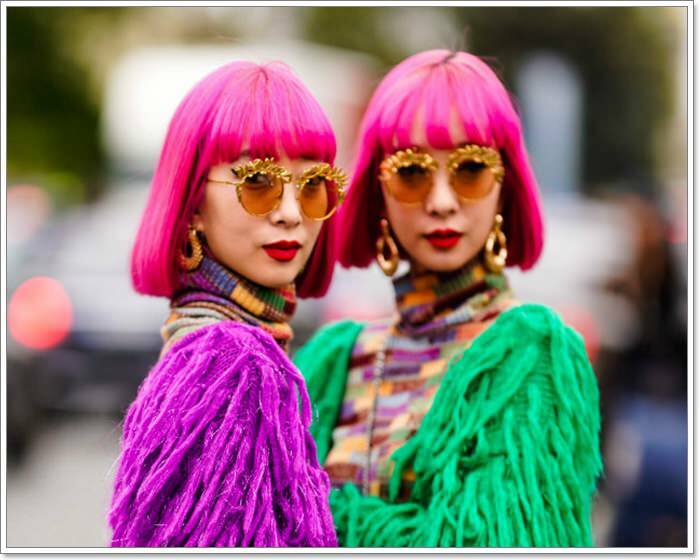 Grab a friend and you can both have the same amazing hair color. 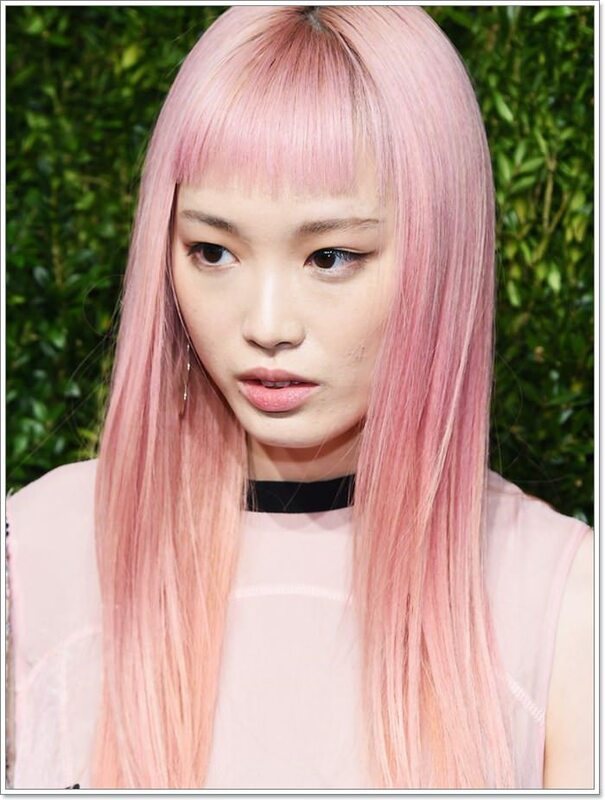 This is a gorgeous shade of pink and we love it. 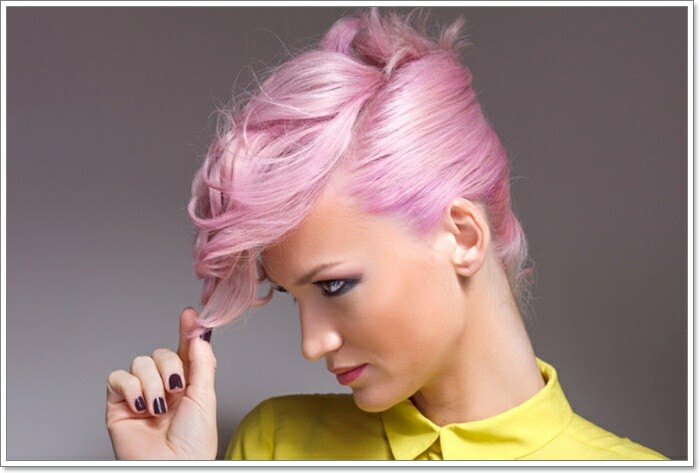 If you really want a bold and edgy style then try this one that combines purple and pink together. There is nothing bright about this pink but it’s still a beautiful shade. 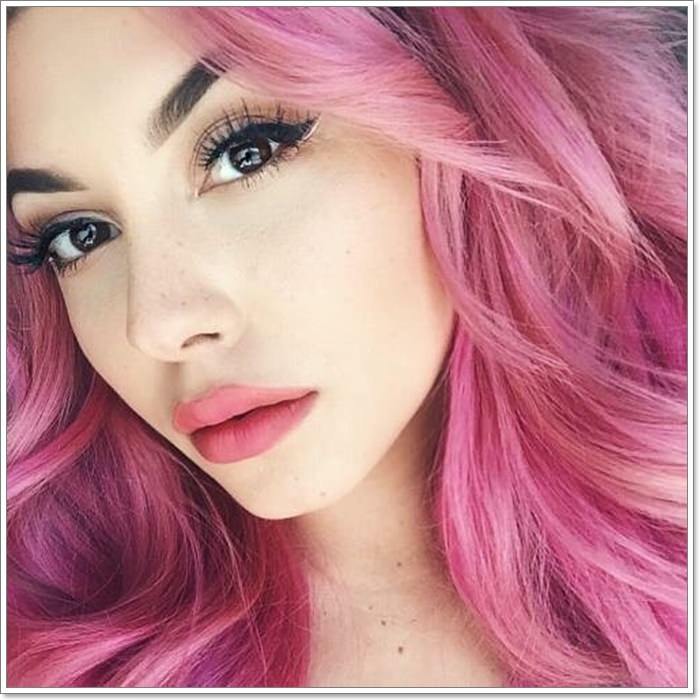 You will feel like a goddess with hair color like this. You don’t have to get a full color, you can start with some highlights to see how you like it. A bold color like this is all you need to turn heads wherever you go. 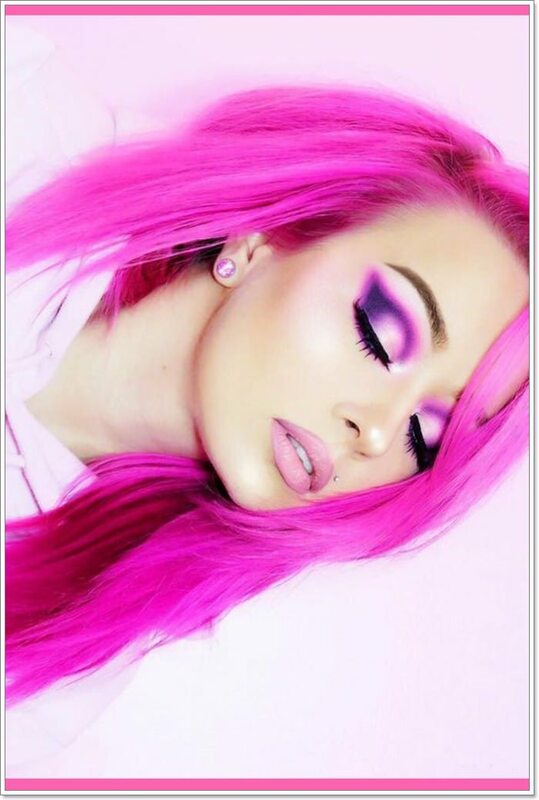 This is another shade of pink that won’t be too bright. 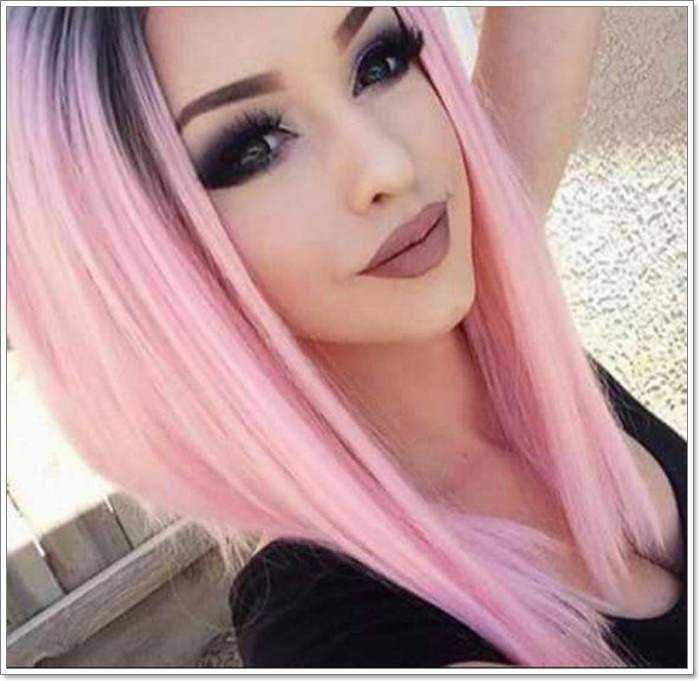 This is another edgy style that has spiky hair and bright pink colors. This is a fun shade because it’s close to a beige blonde. It’s not about flash, it’s all about elegance. 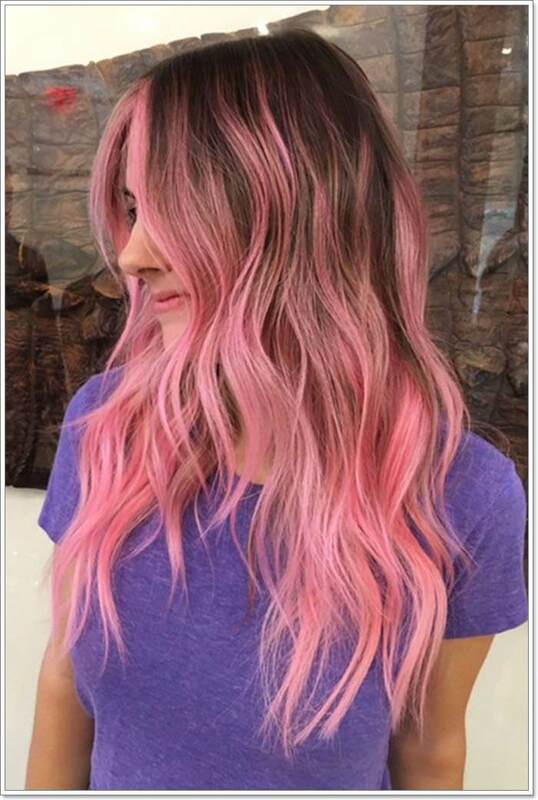 Now, this is the kind of pink that wants to get noticed. You are sure to turn heads wherever you go with this amazing shade. An edgy color like this will grant you all the attention you deserve. This is a shade that’s going to make you feel like you belong on the red carpet. 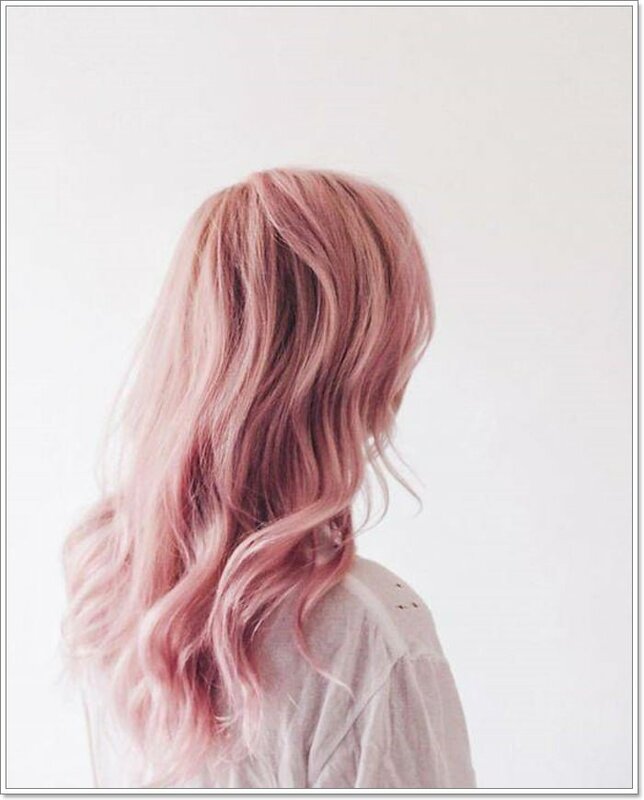 How could you not love a shade of pink like this one? 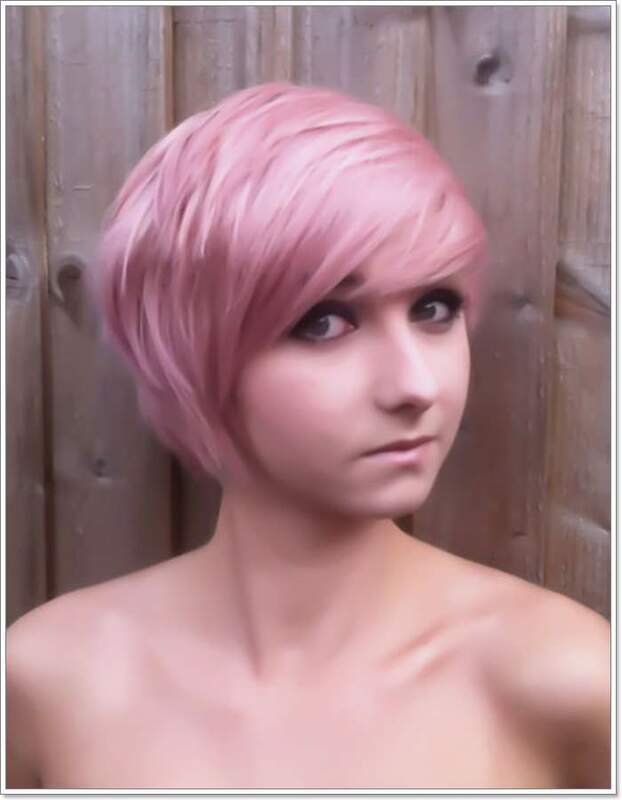 We adore this attention seeking pink and you will too. 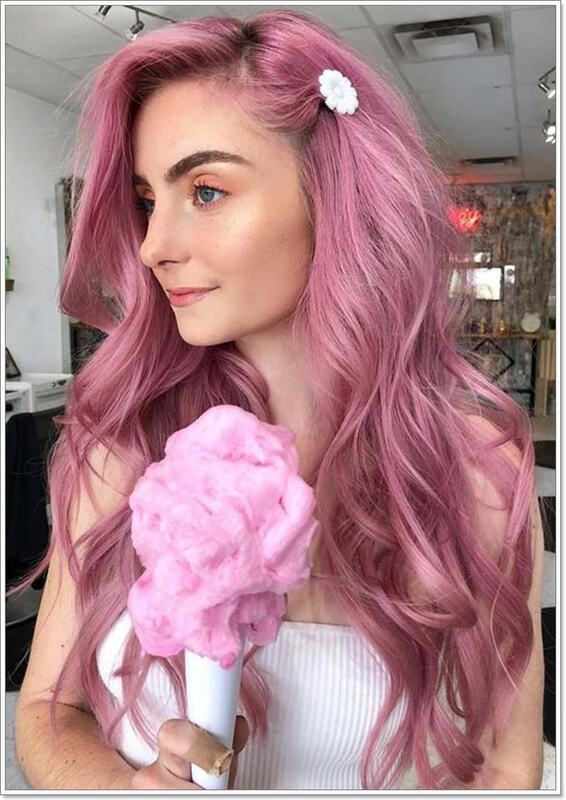 Why not go all the way if you are going to try pink? 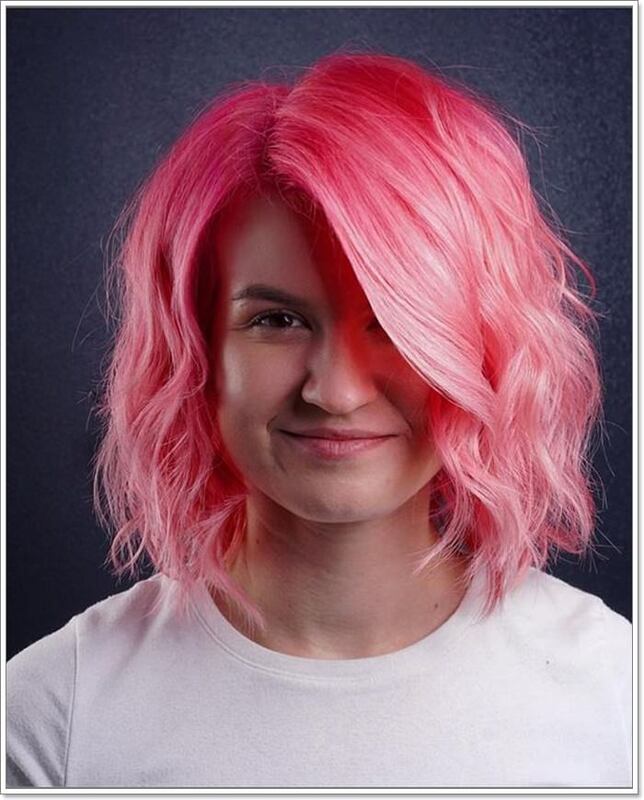 Blow away the competition with a shade of pink like this one. 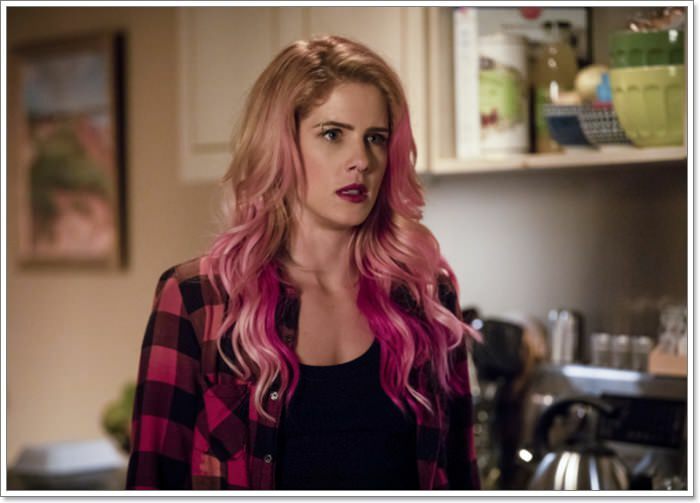 This fashion pink is hot and sassy. 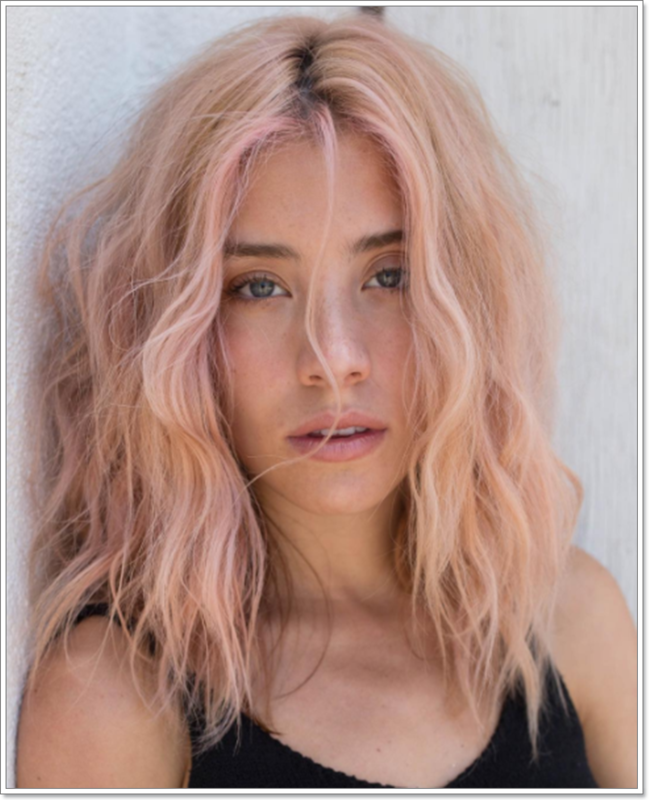 This color would require a lot of maintenance to prevent it from fading. This is a stunning shade that any girl would love. 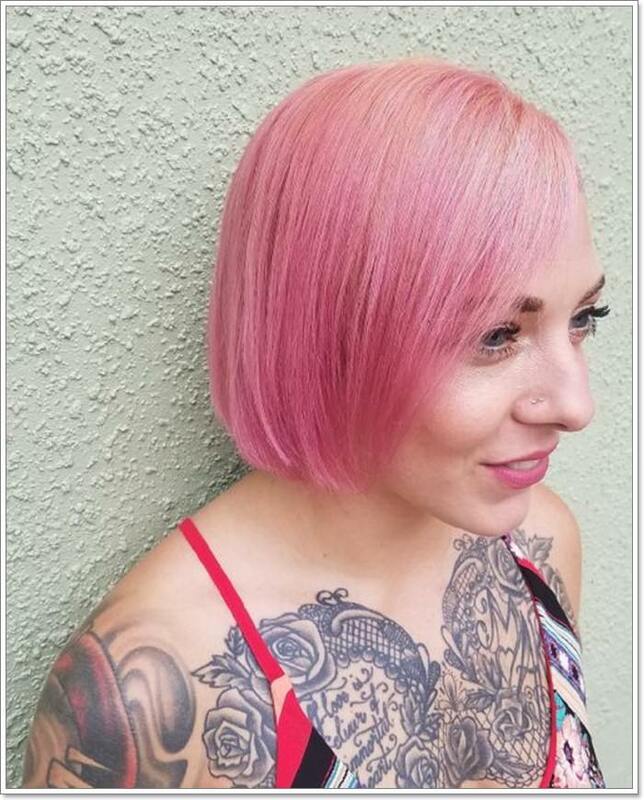 This edgy pink is sure to get you a lot of attention this year. This is the kind of color that will have you feeling like a true rockstar. 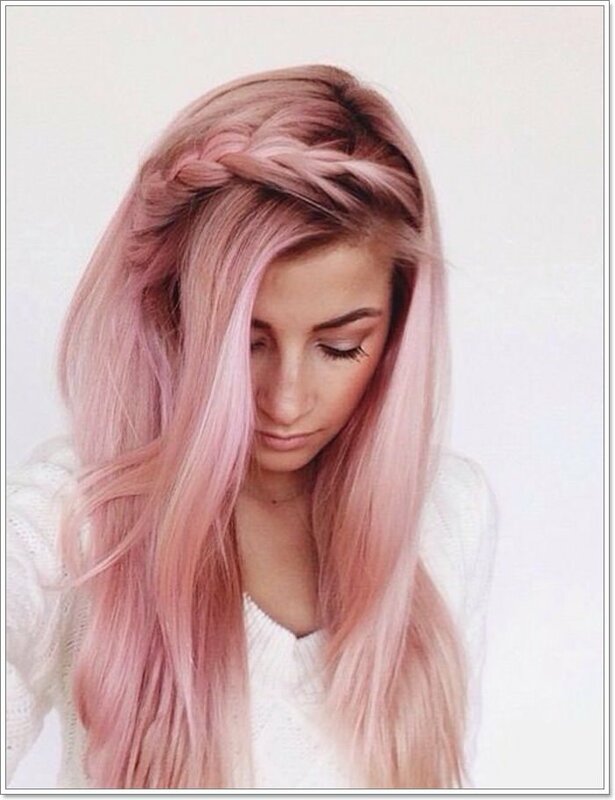 A few different shades of pink will get you a look like this. You can also leave some of your natural shade there as well. We’re not sure that you will be able to find a brighter pink than this one. It’s stunning and it’s sure to get you a lot of compliments. 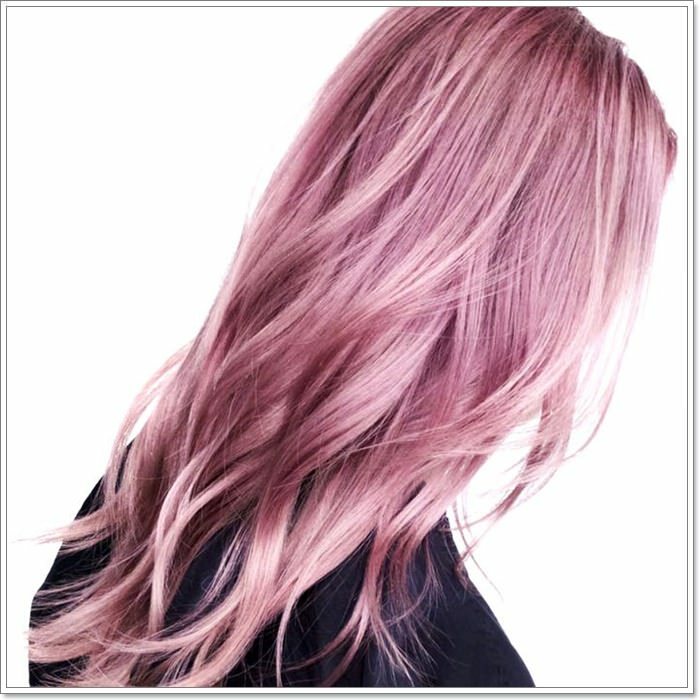 This is a soft and pretty shade of pink, one that you are sure to love. A pretty shade of pale pink is perfect for any season. 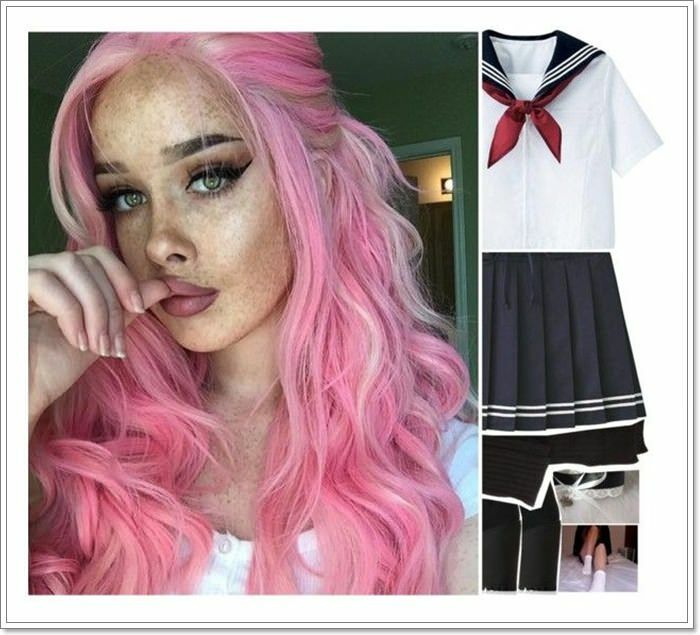 A great shade of pink like this is exactly what a girl needs to feel beautiful and unique. 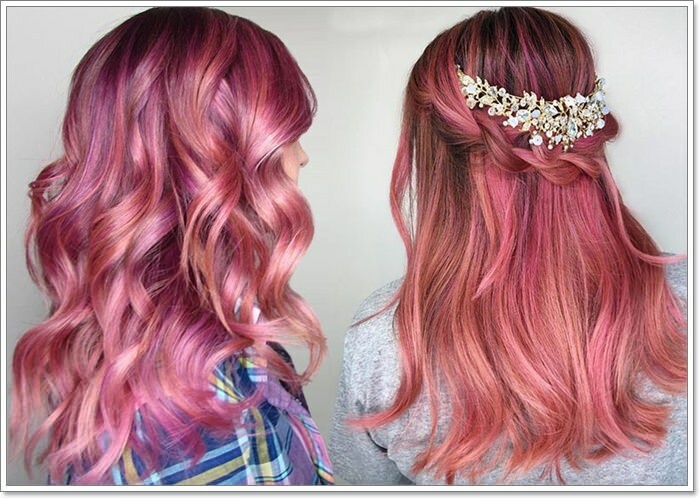 Having pink hair is all about having fun with your style. 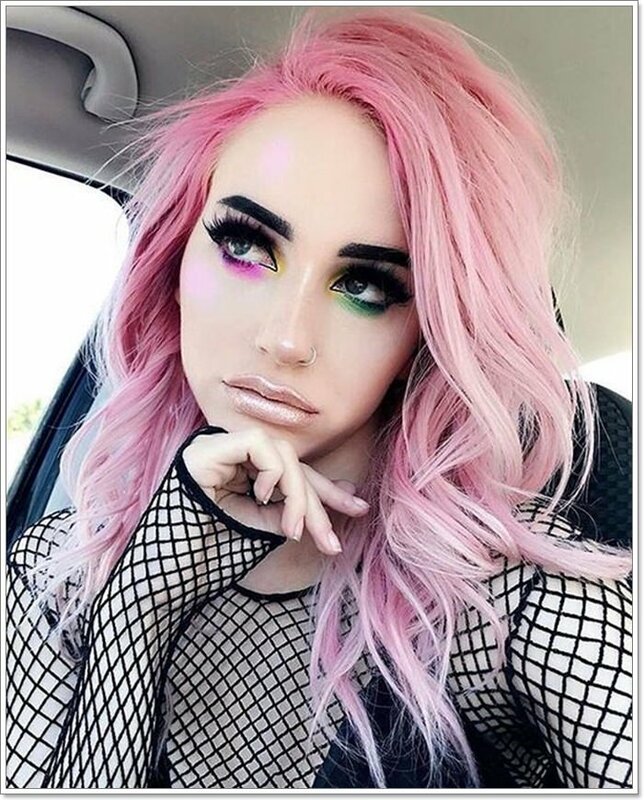 Don’t stop at pink, why not get a mixture of colors? 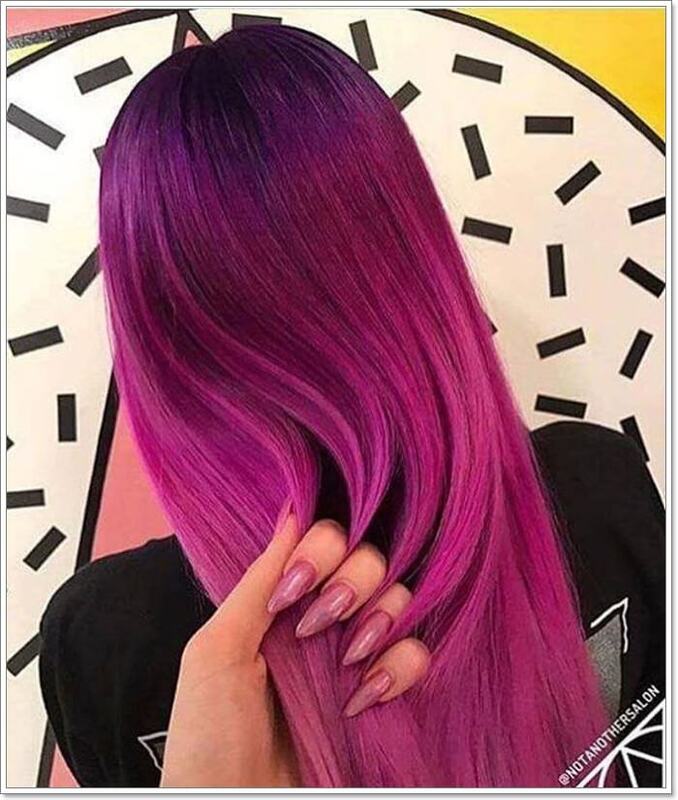 This color is a combination of purple and pink. A color like this is truly one of a kind. 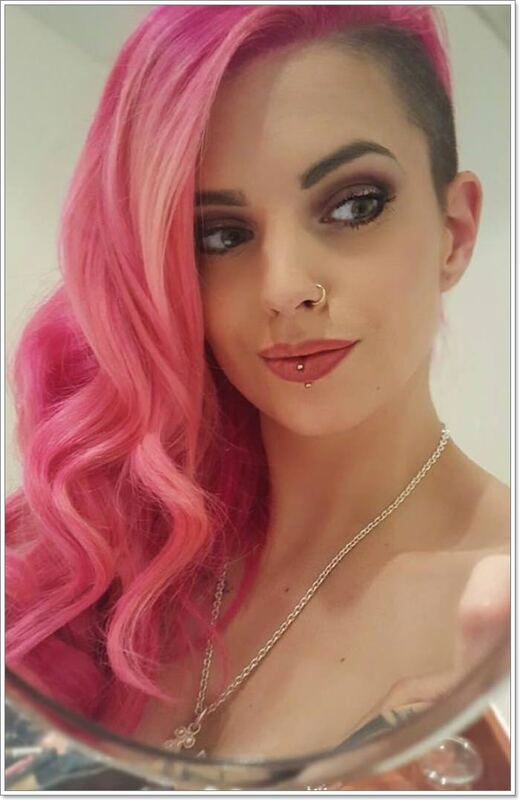 Another great example of a pink that goes so well with her complexion. Try it out for yourself. 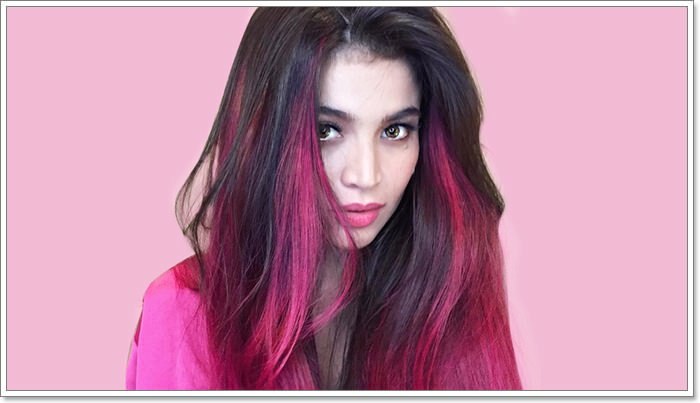 Another hot pink shade that is going to make people envious of your style. From dark to light, this is sure to be a color that you will love. Another light shade of pink that just blows you away. Braids always help colors to pop. 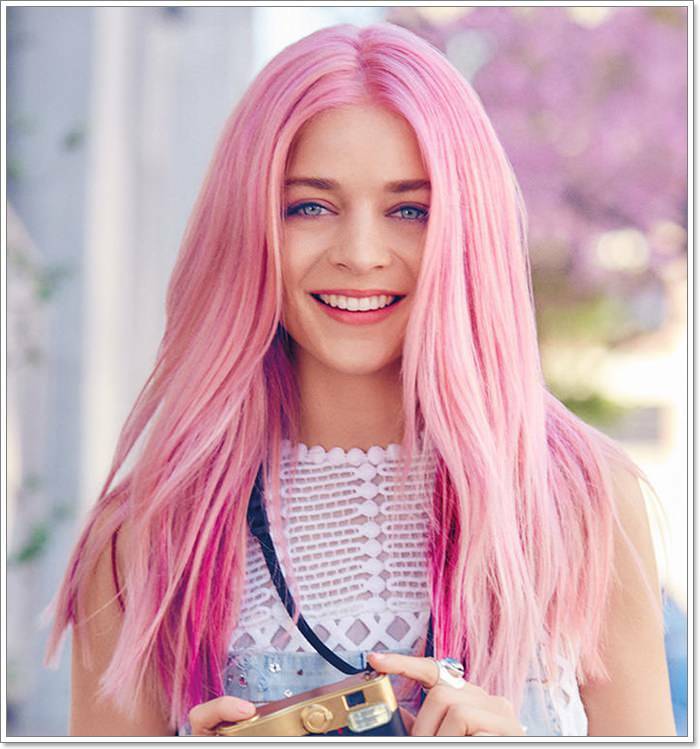 A stunning shade like this is going to have you loving pink all over again. 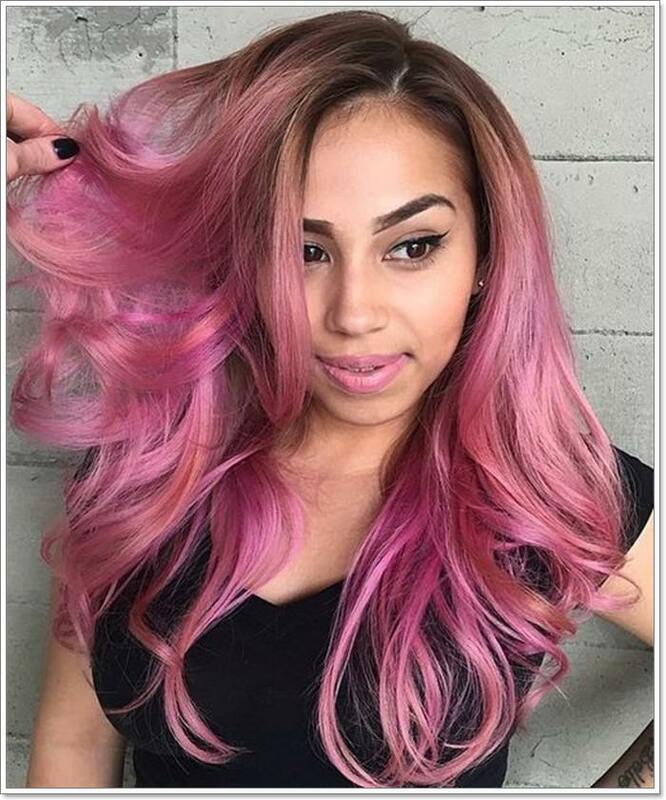 You are sure to turn heads wherever you go with an awesome shade of pink like this one. 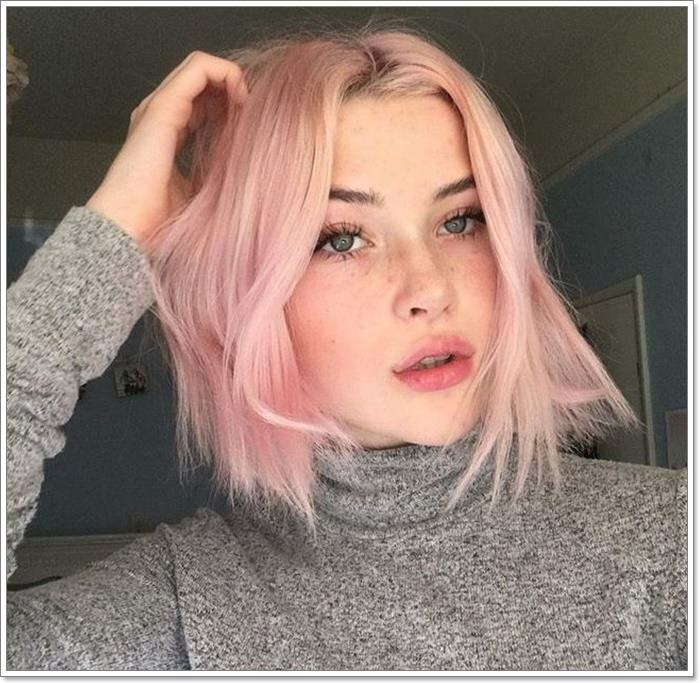 Another great example of a cool pink shade. 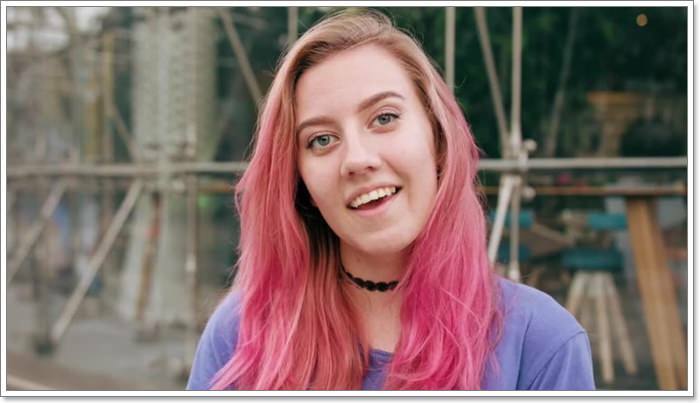 It’s pretty obvious that this girl’s hair is very healthy. You can see that in the shine. 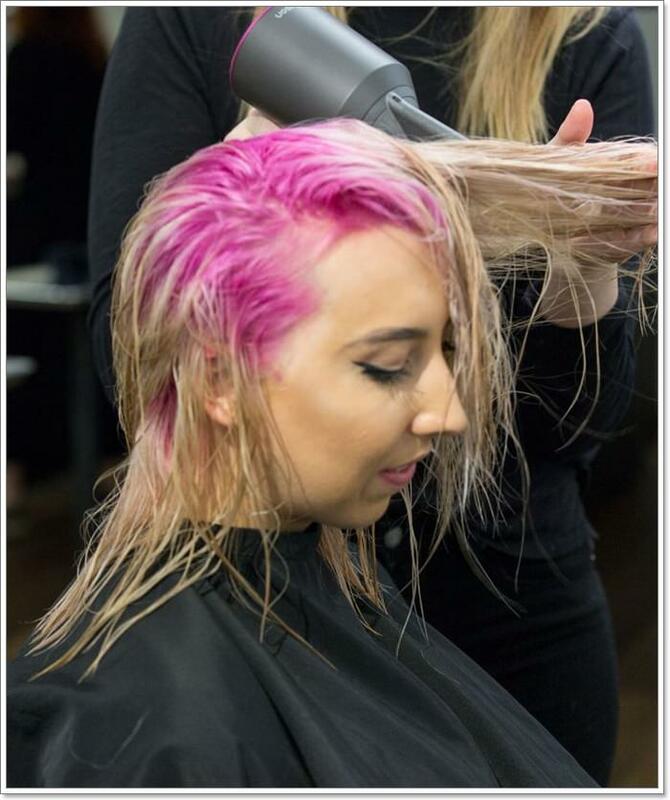 It’s always best to have your hair be healthy before you color it. 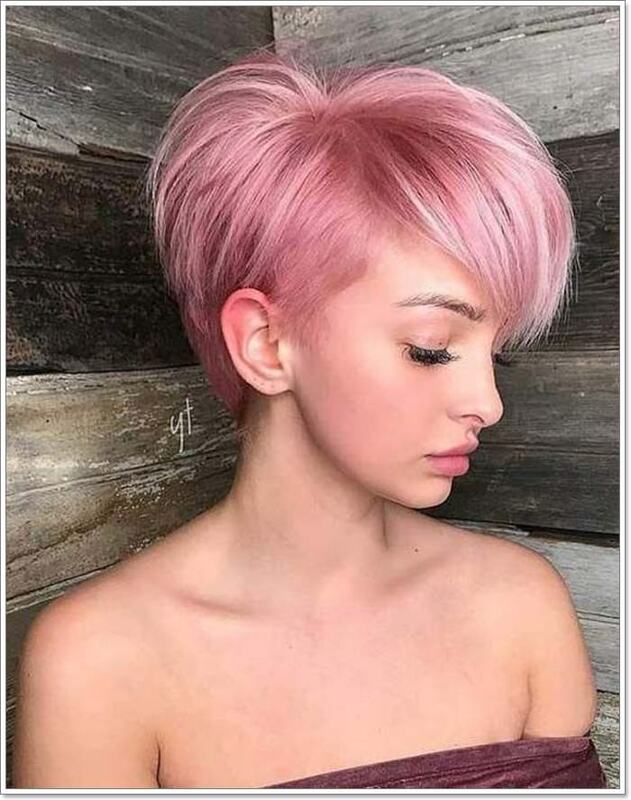 This is a sweet color to have on a pixie. It’s definitely a one of a kind style choice.